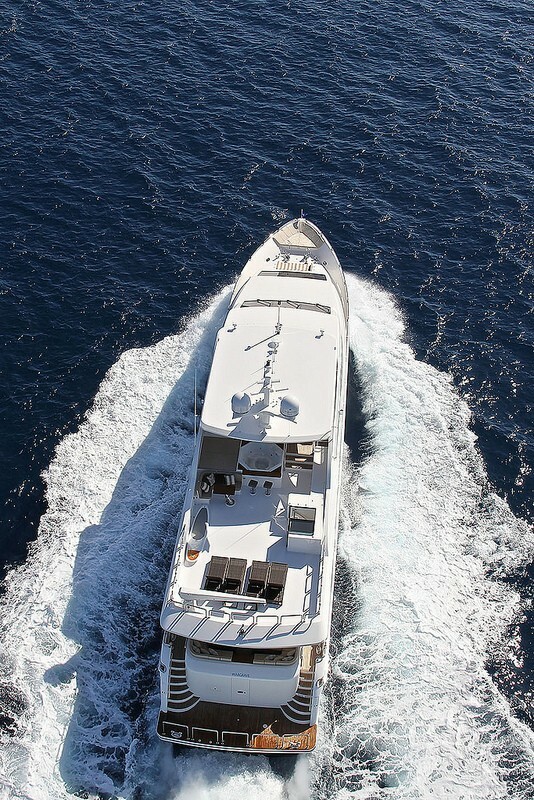 Launched in 2013, the splendid superyacht Gigi II is a 125-foot Raised Pilothouse model, built by the American shipyard Hargrave Custom Yachts. 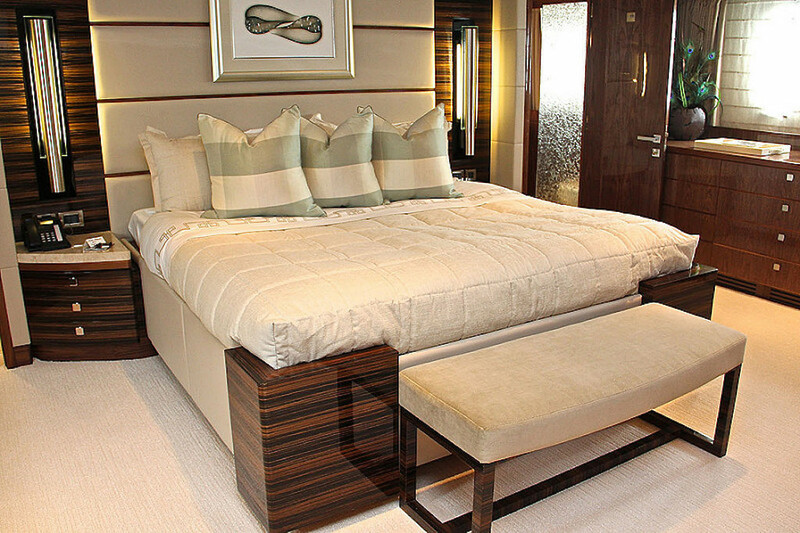 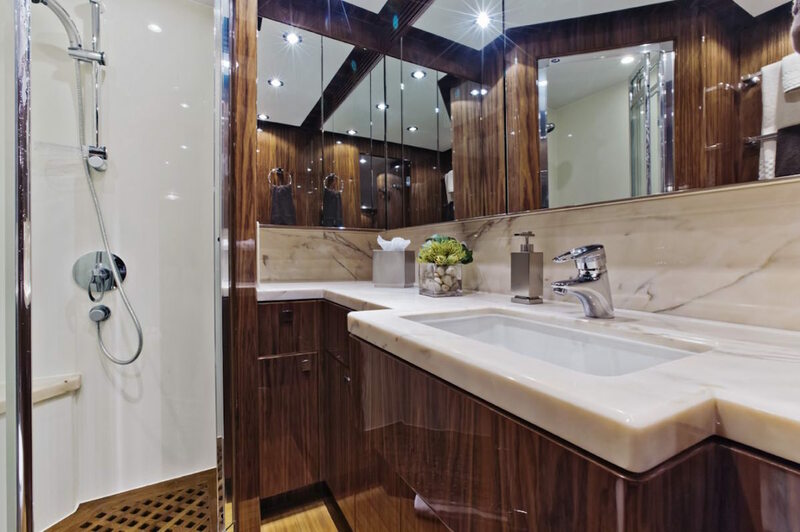 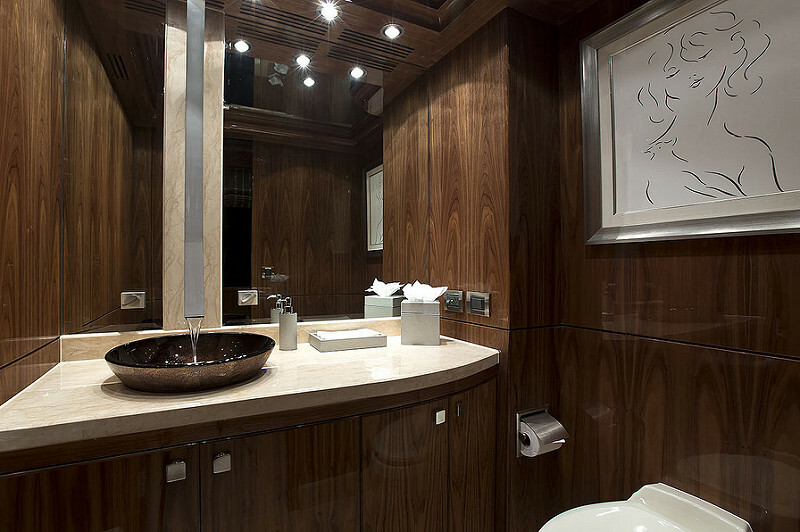 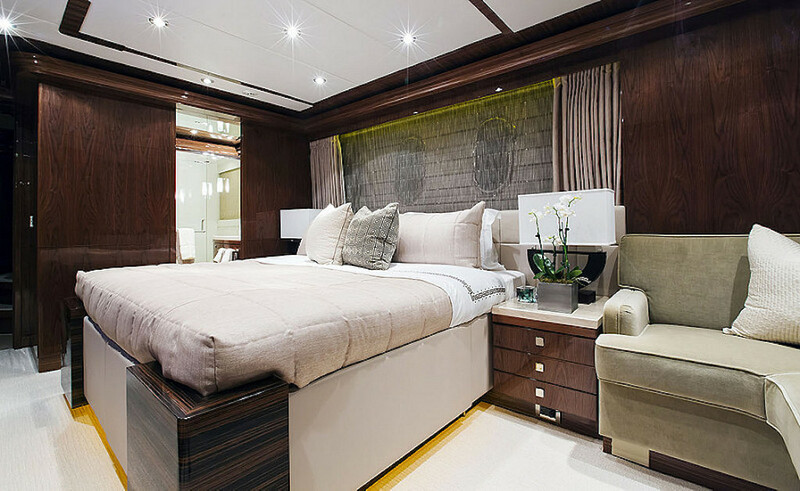 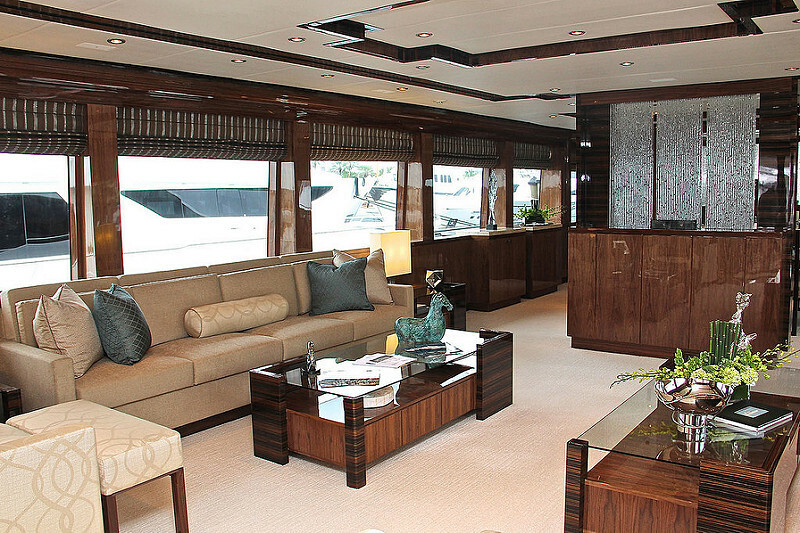 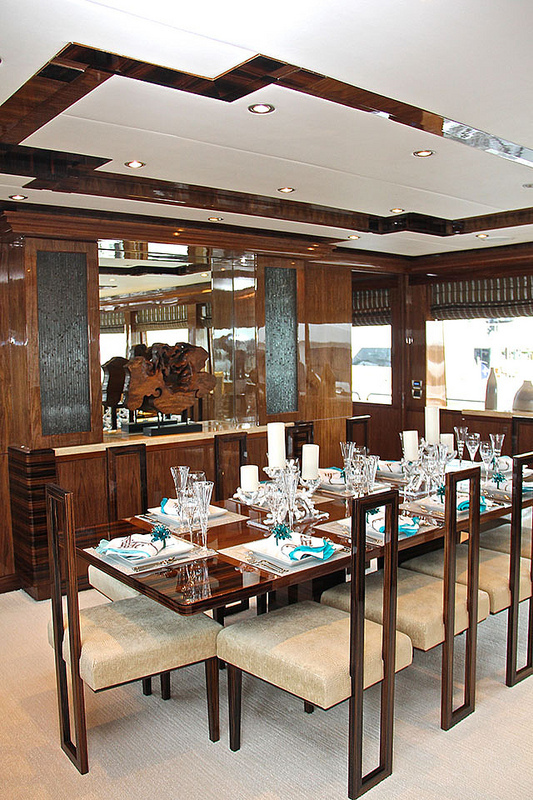 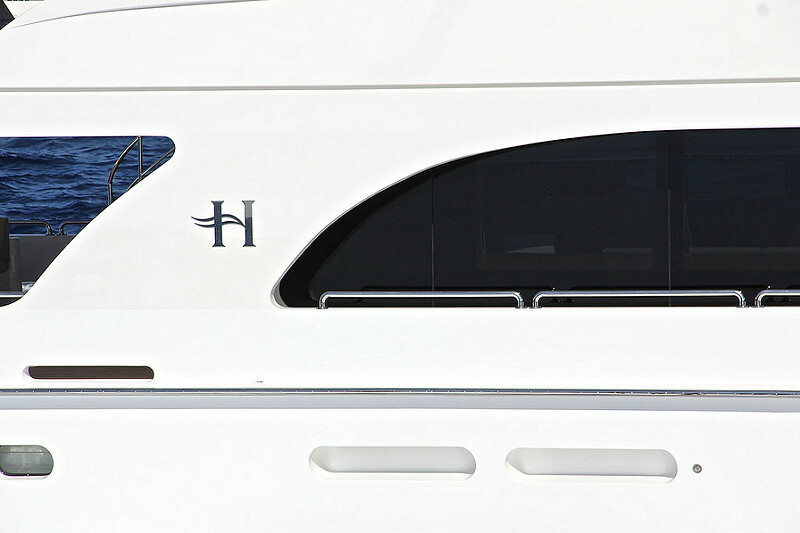 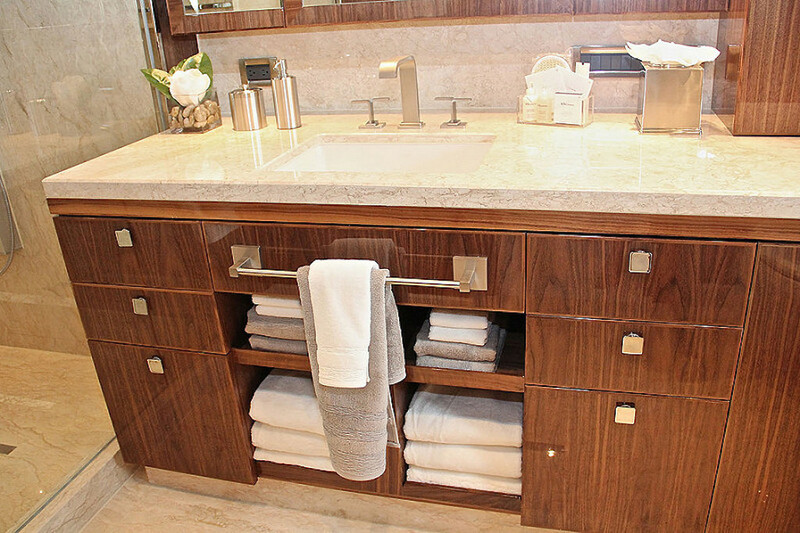 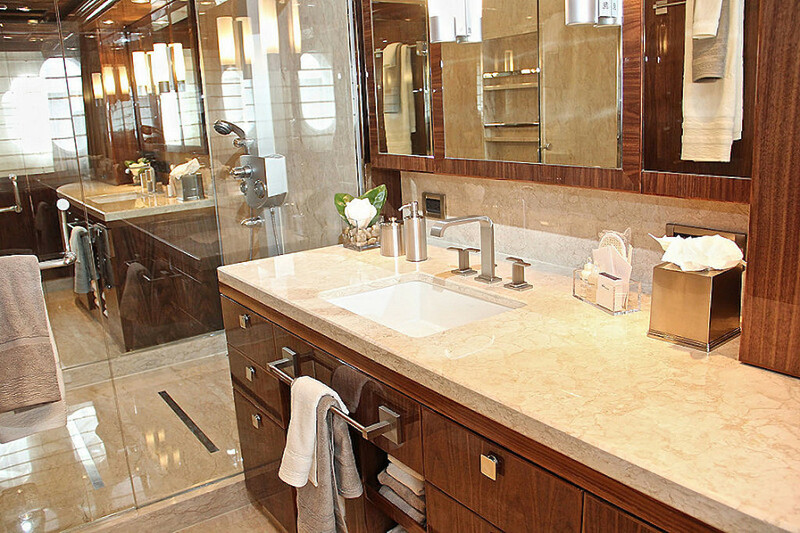 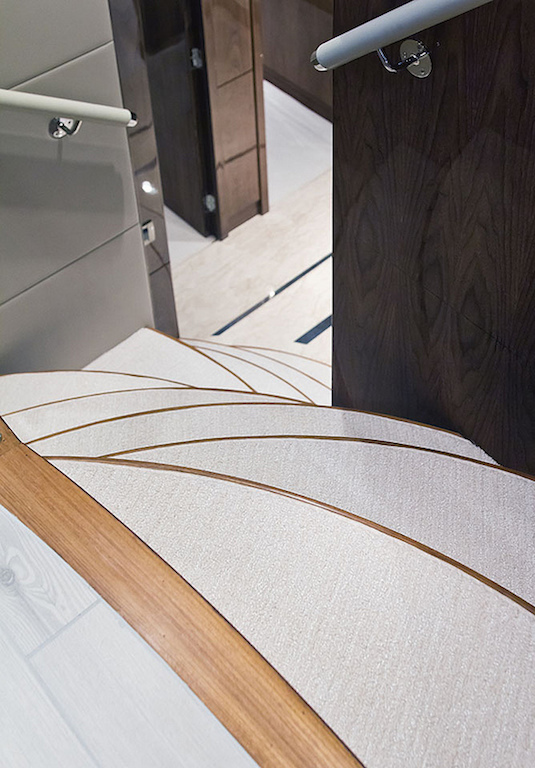 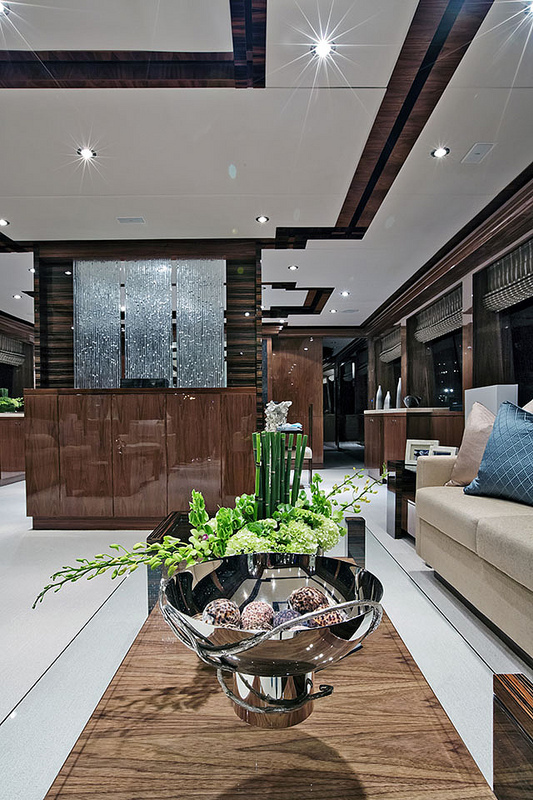 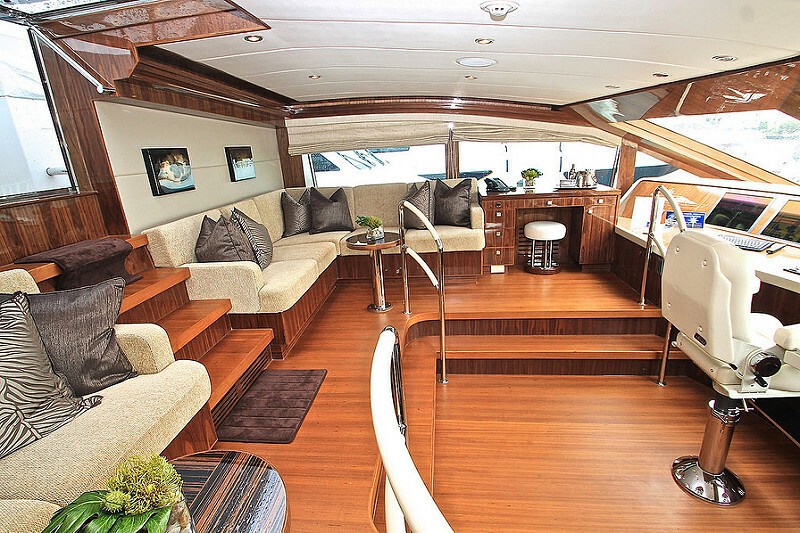 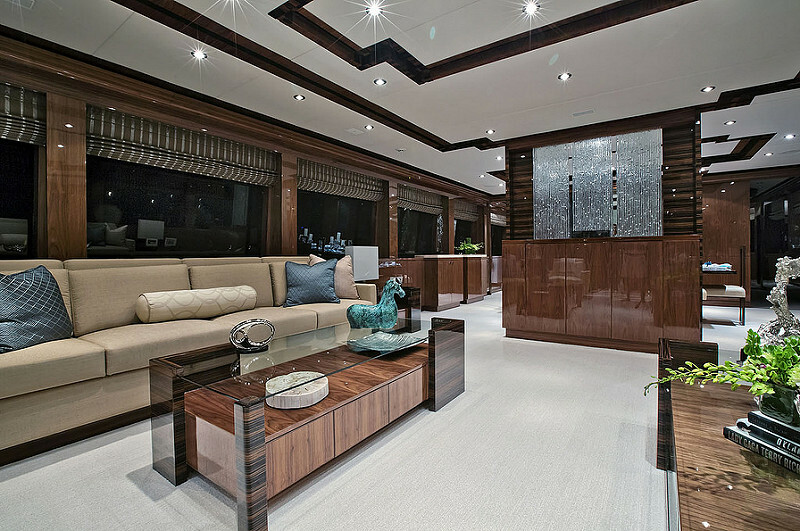 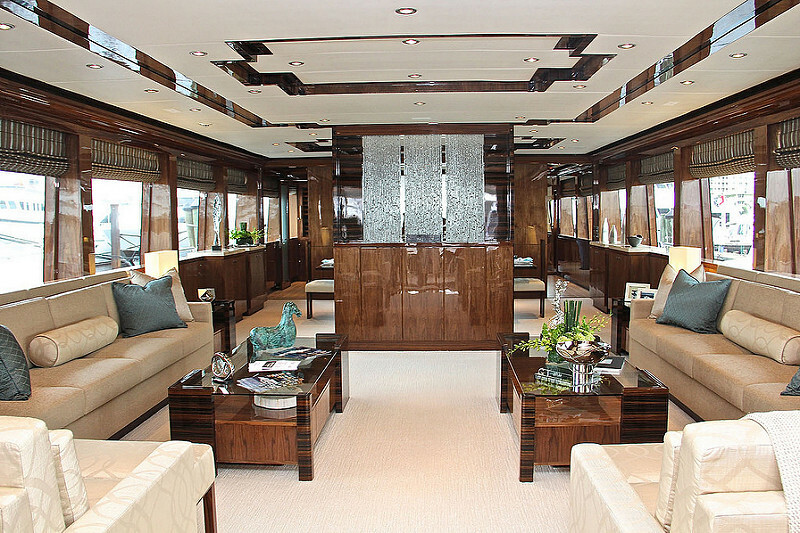 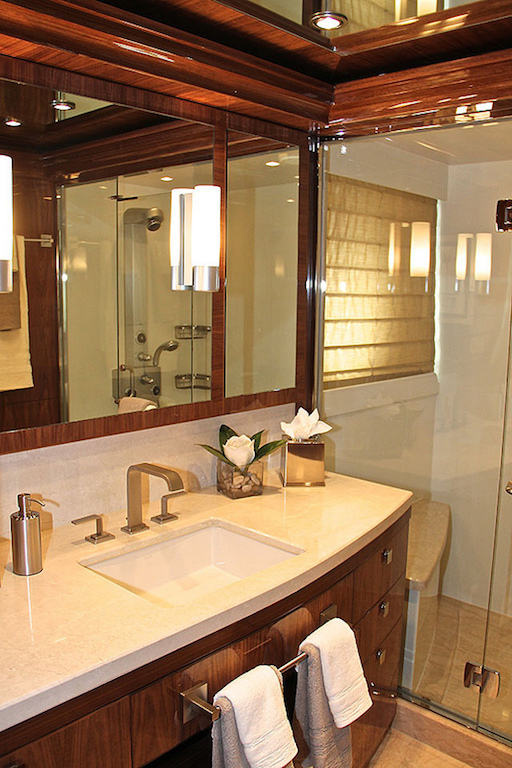 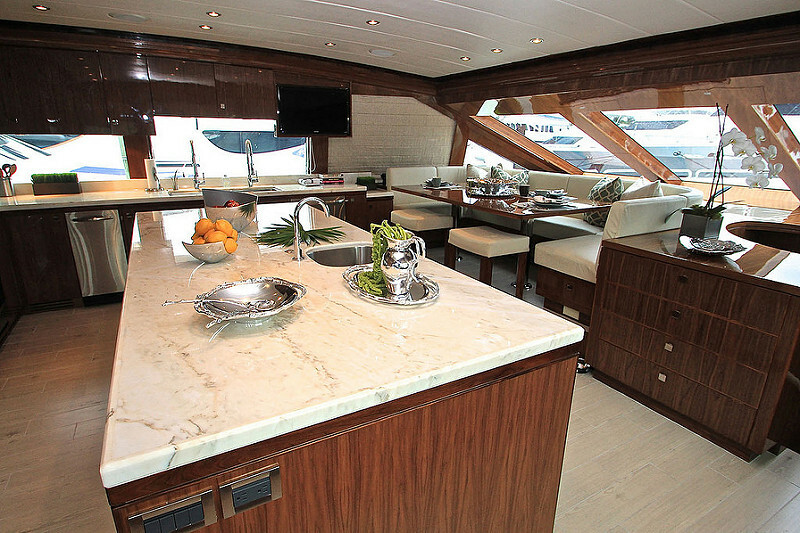 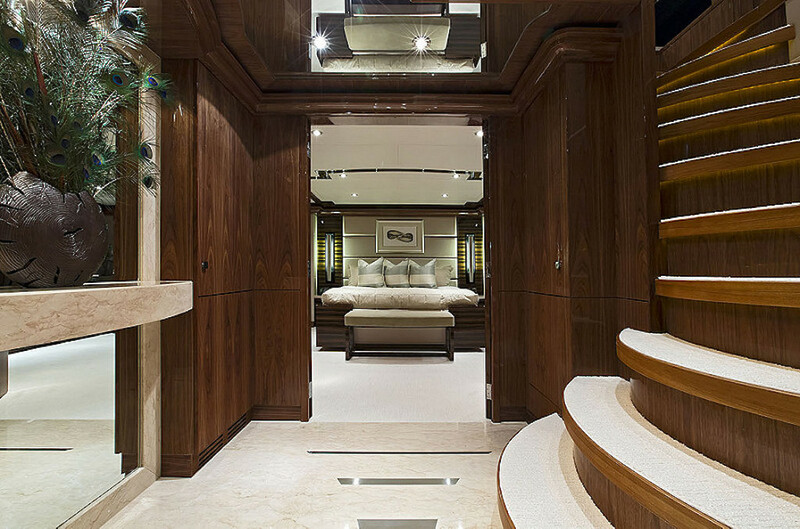 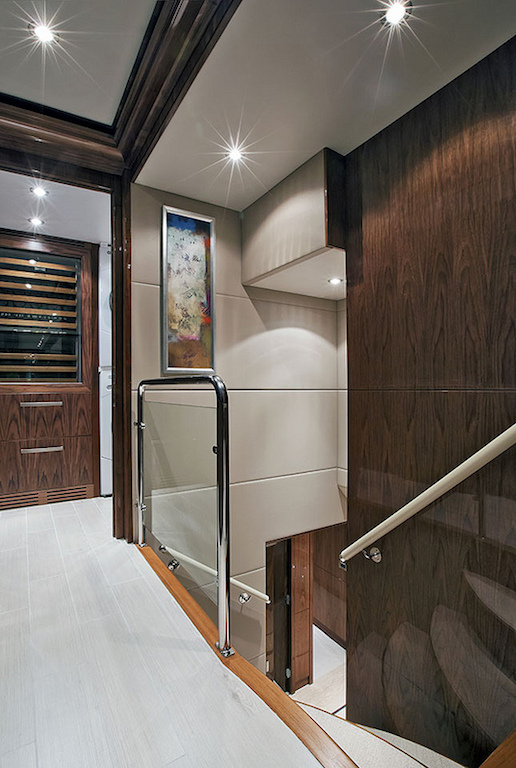 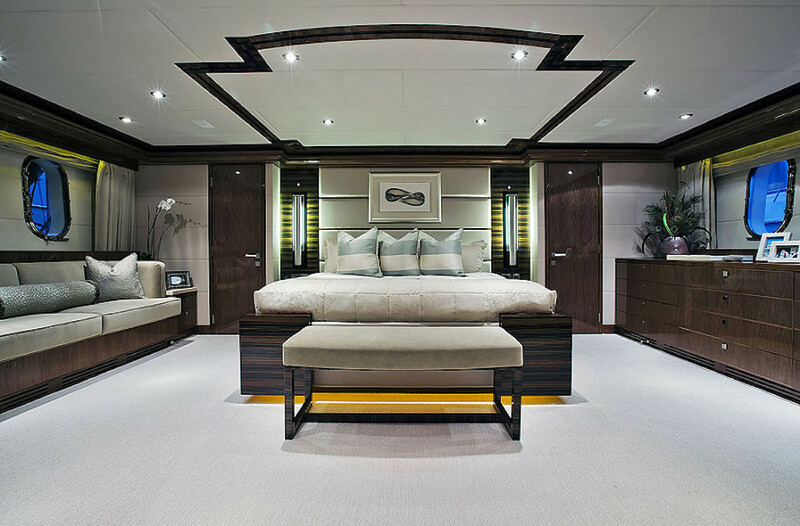 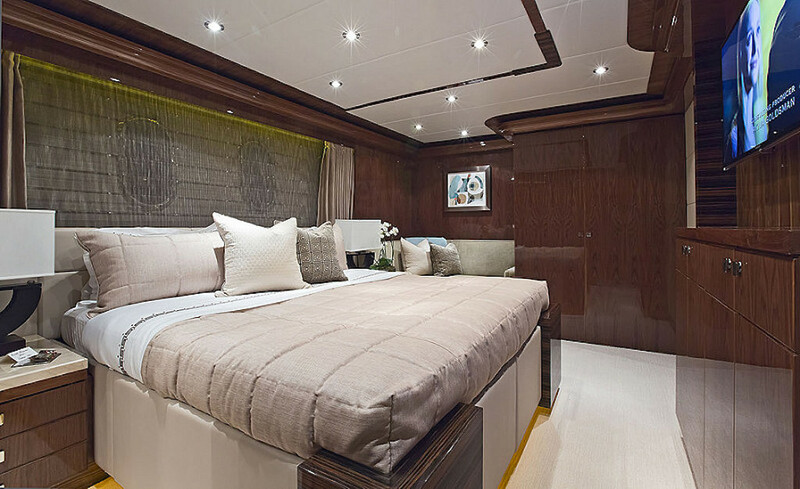 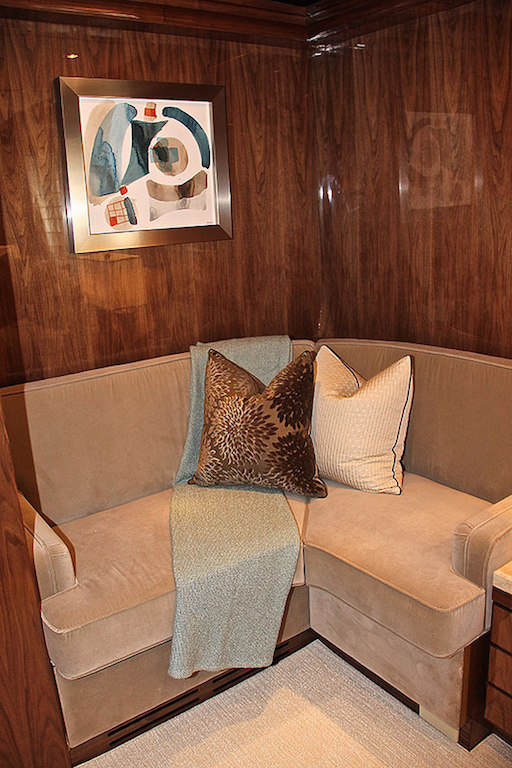 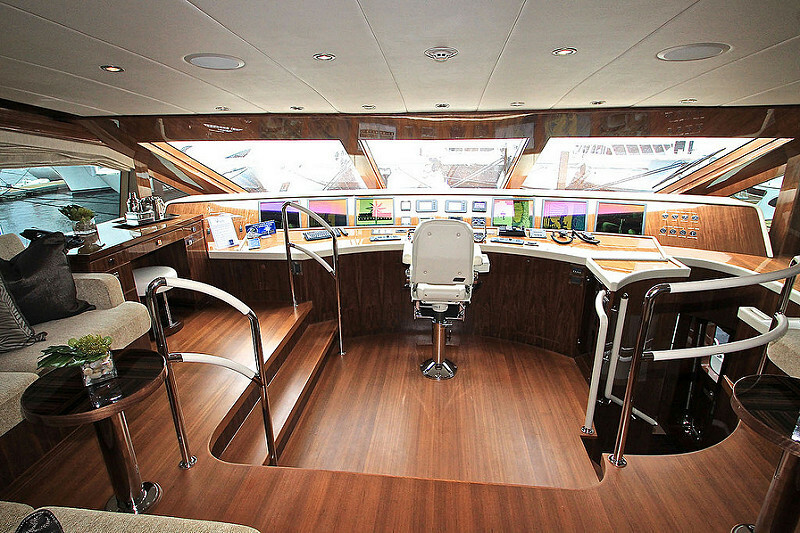 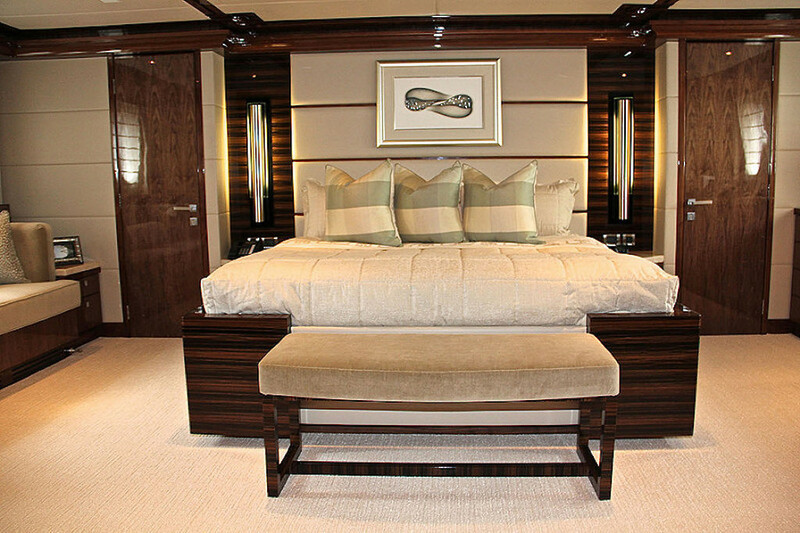 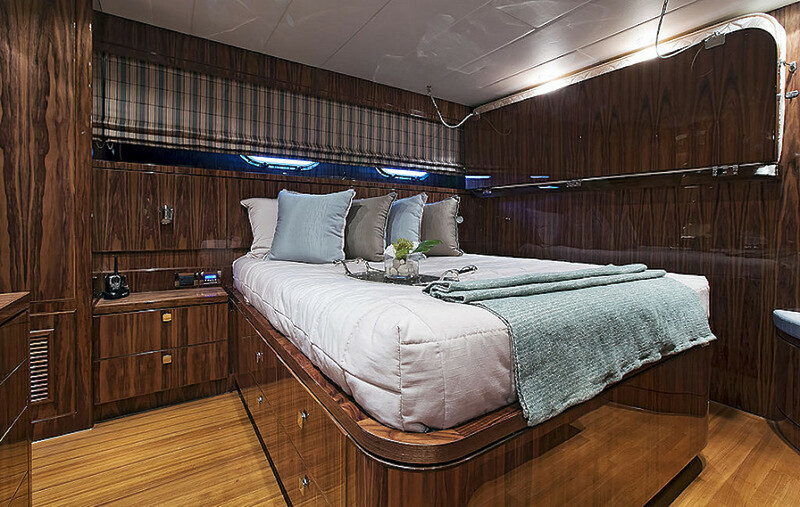 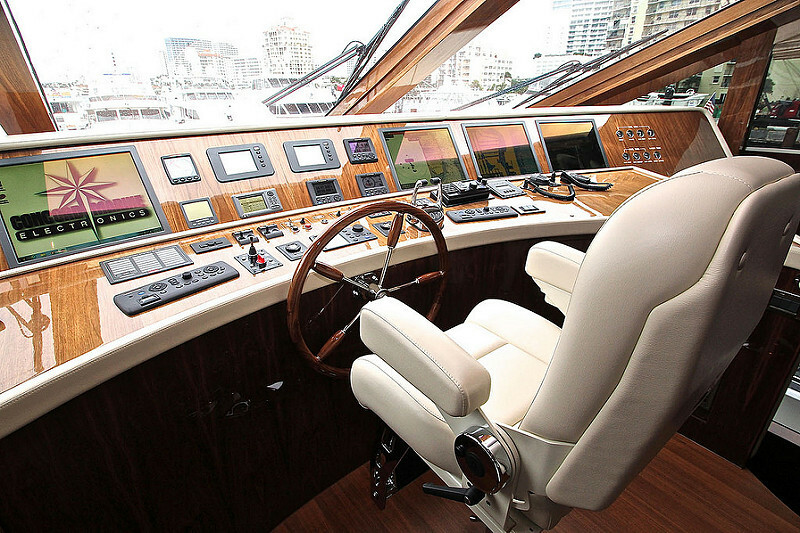 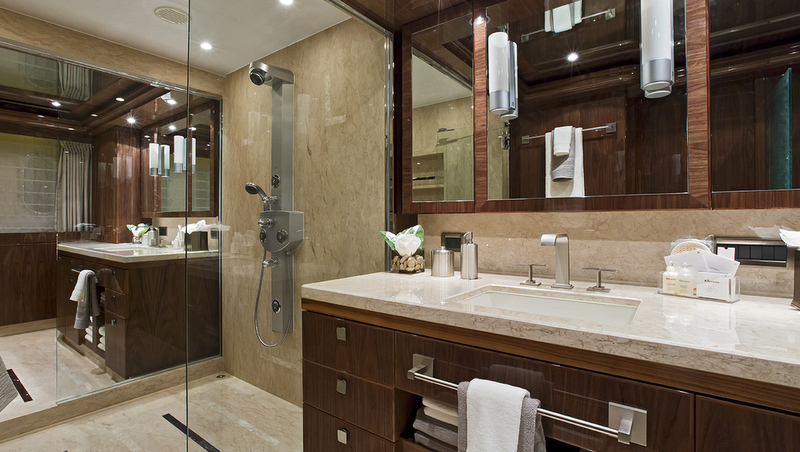 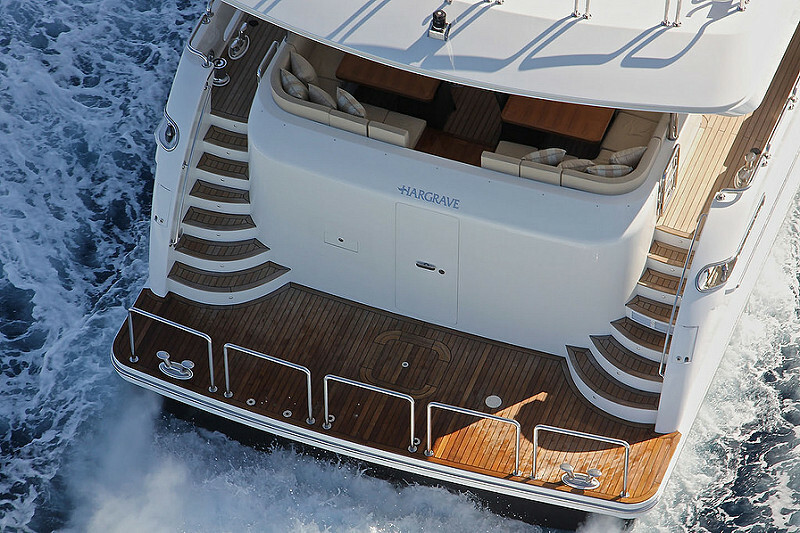 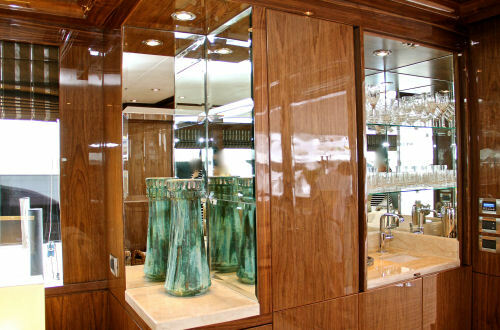 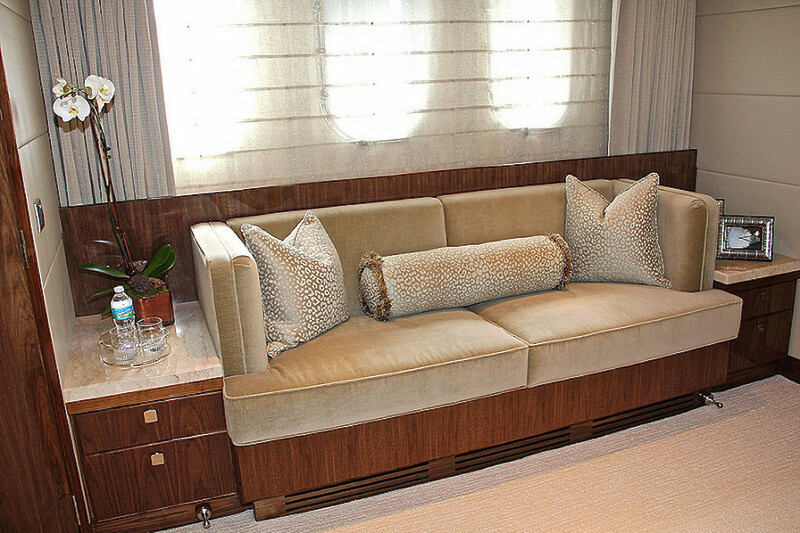 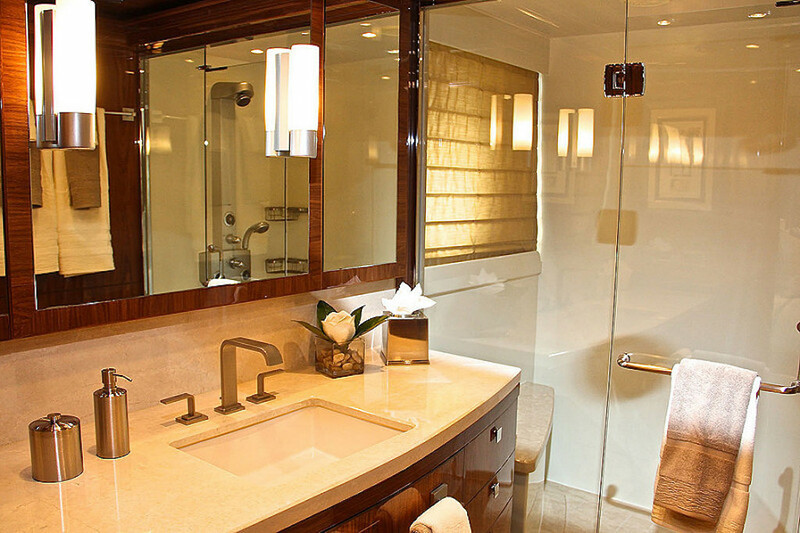 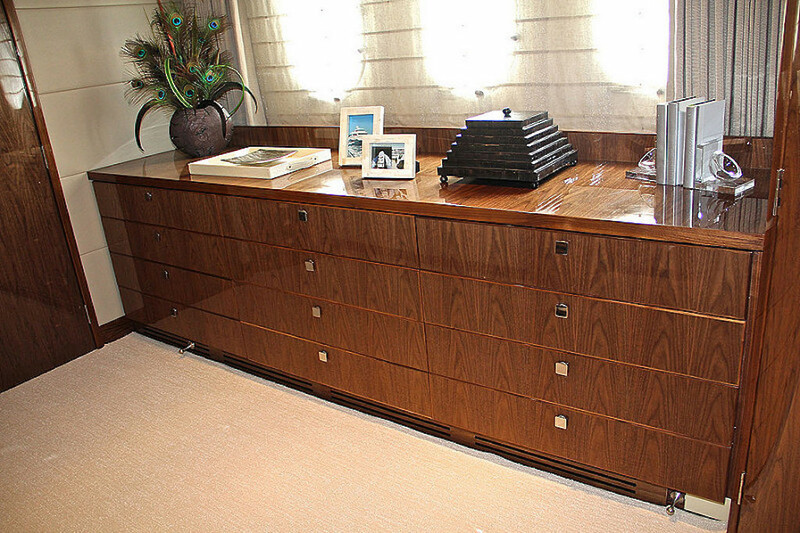 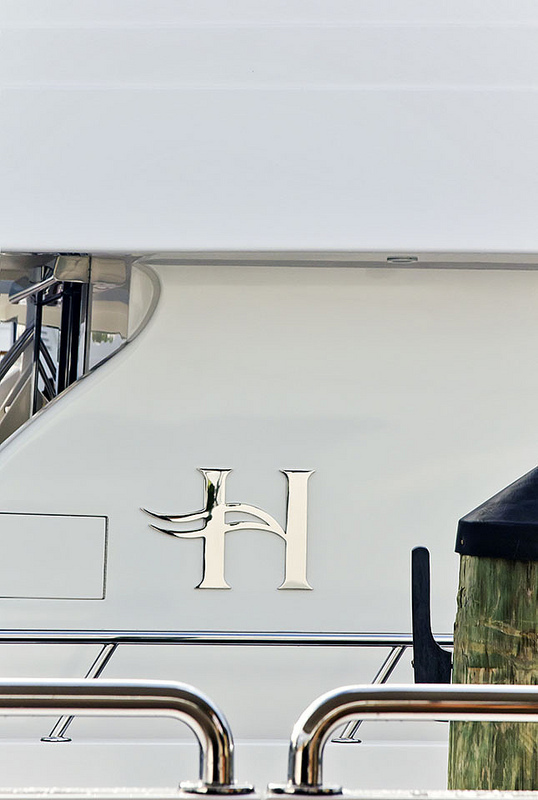 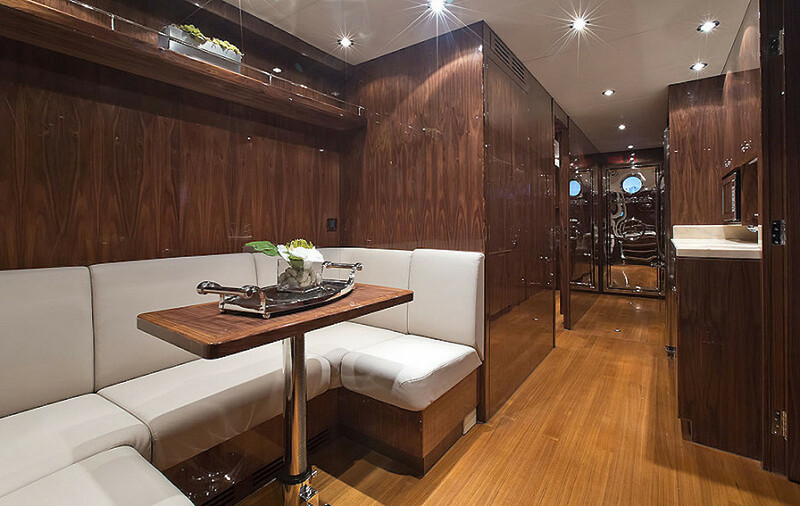 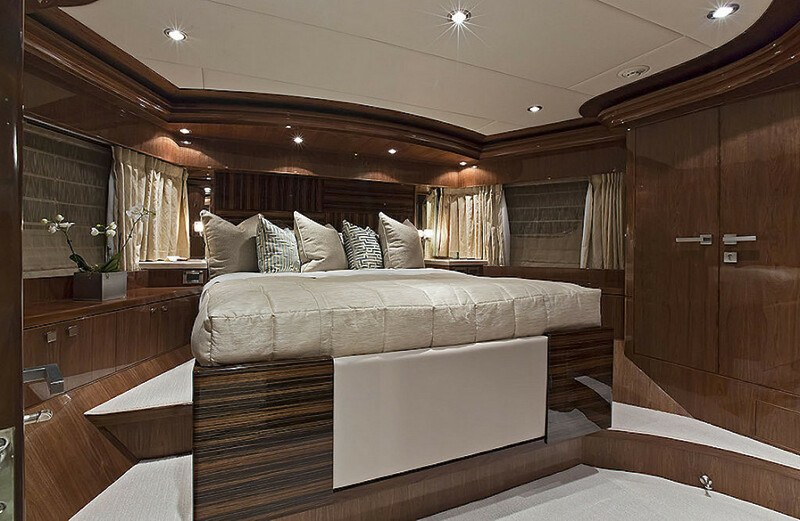 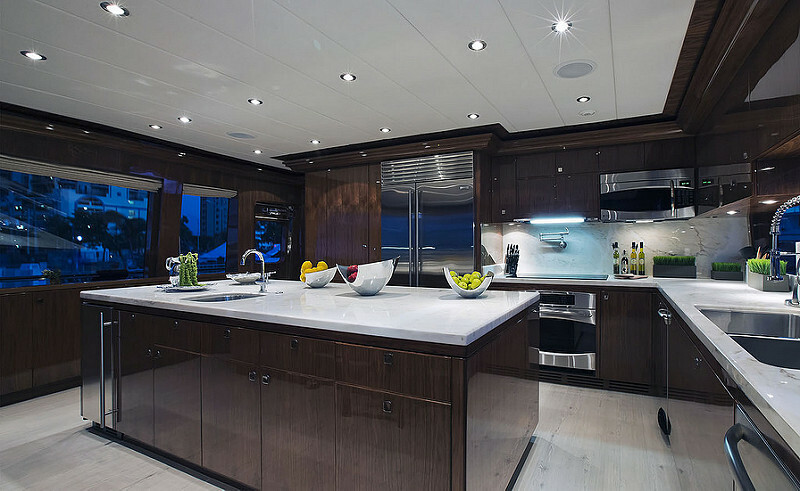 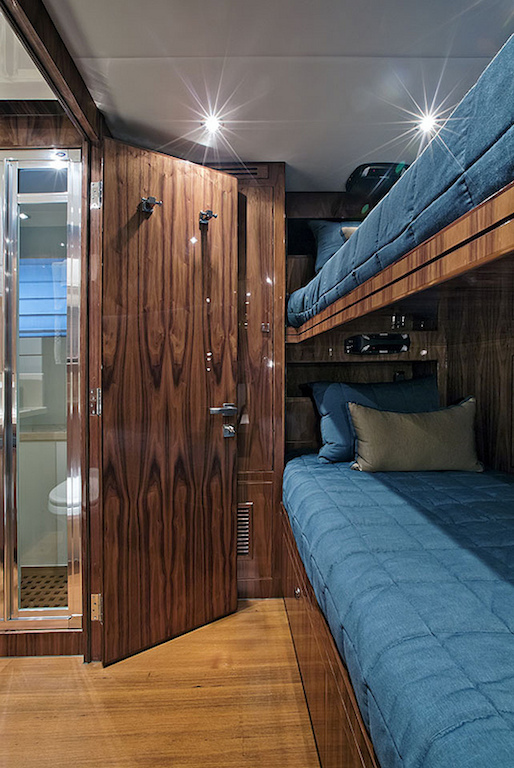 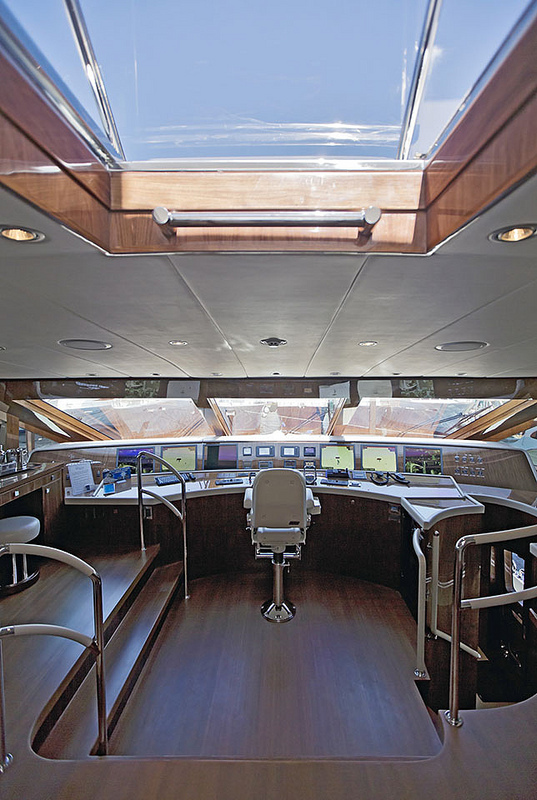 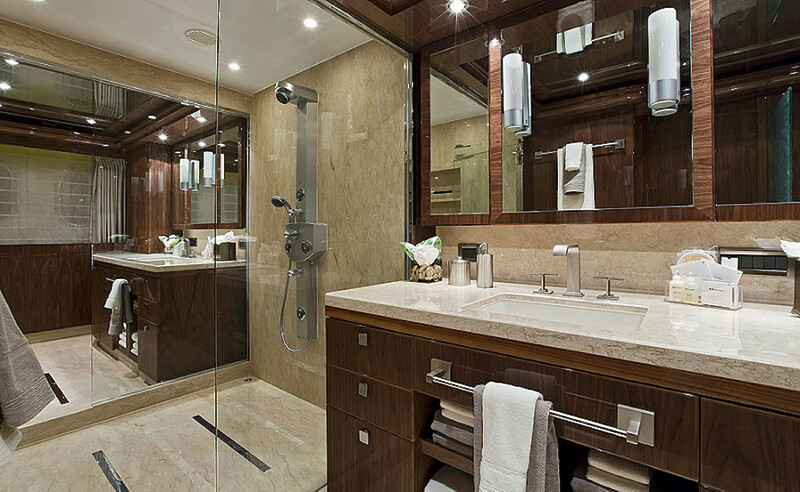 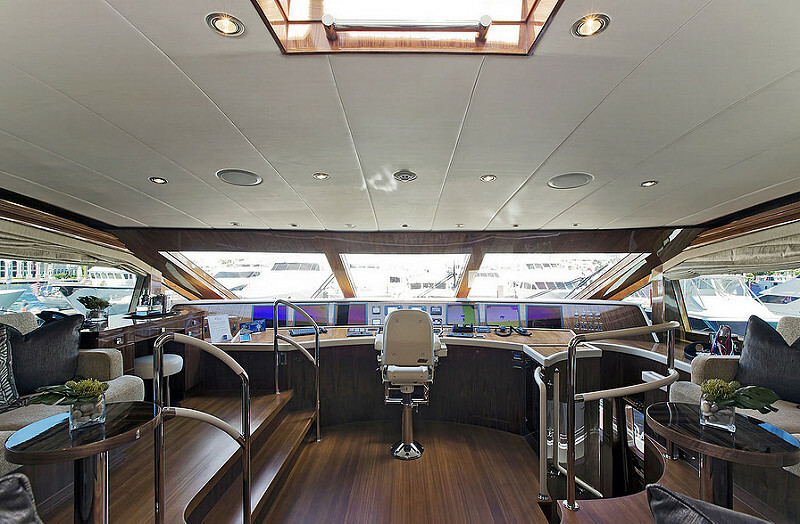 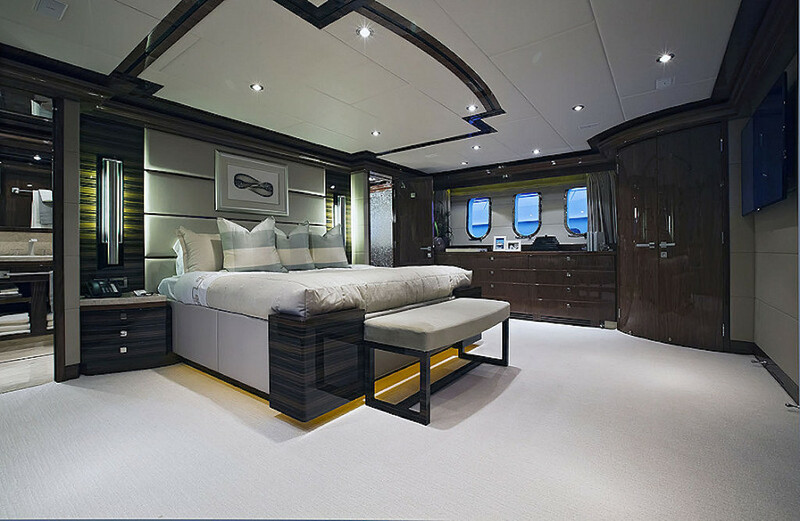 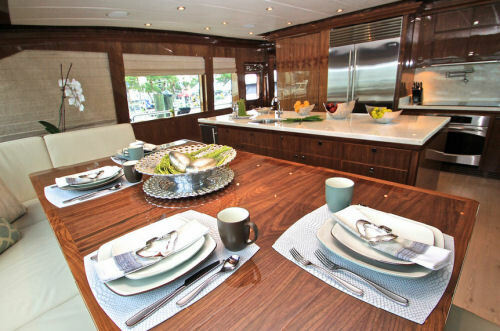 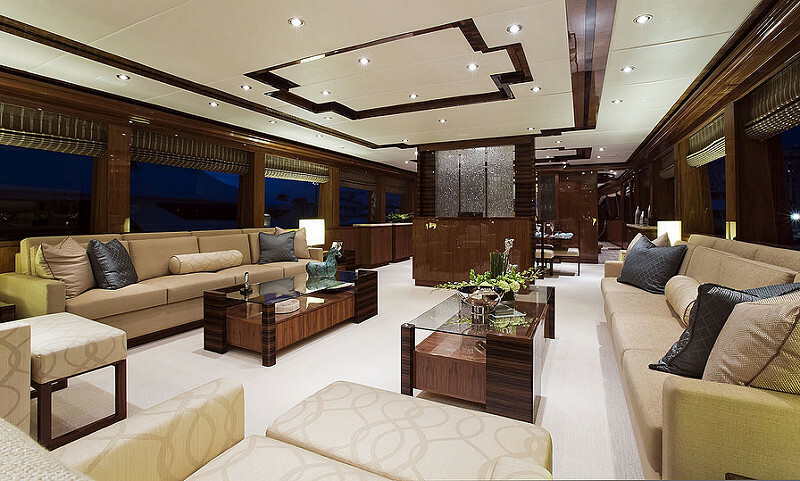 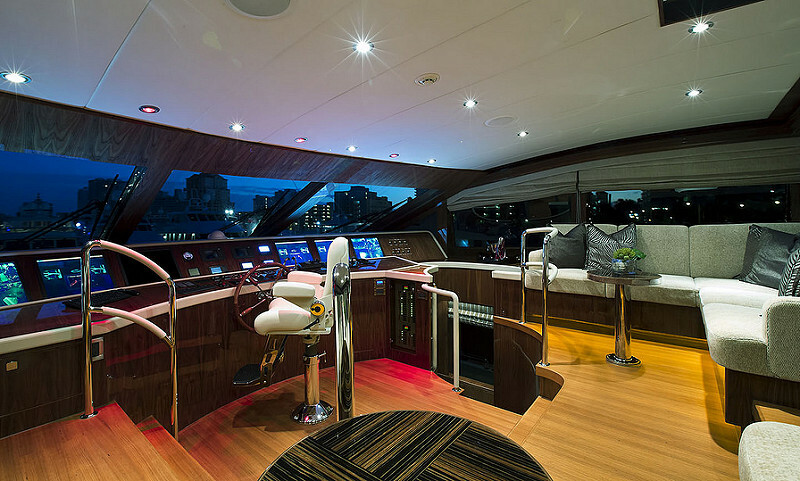 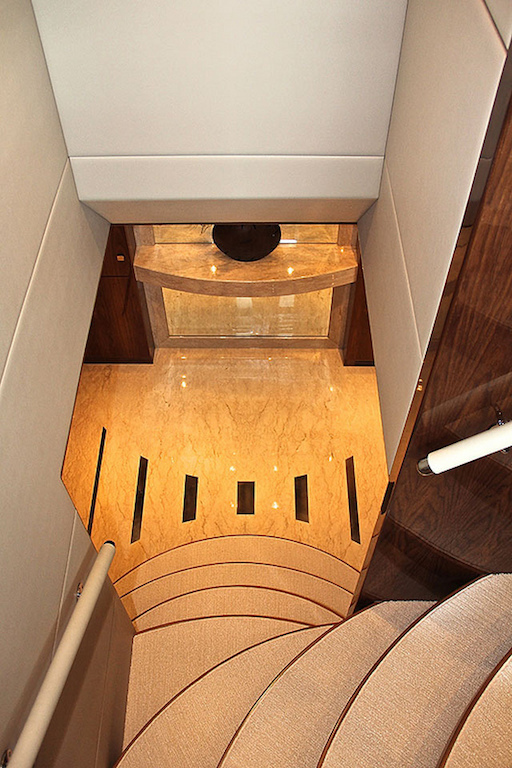 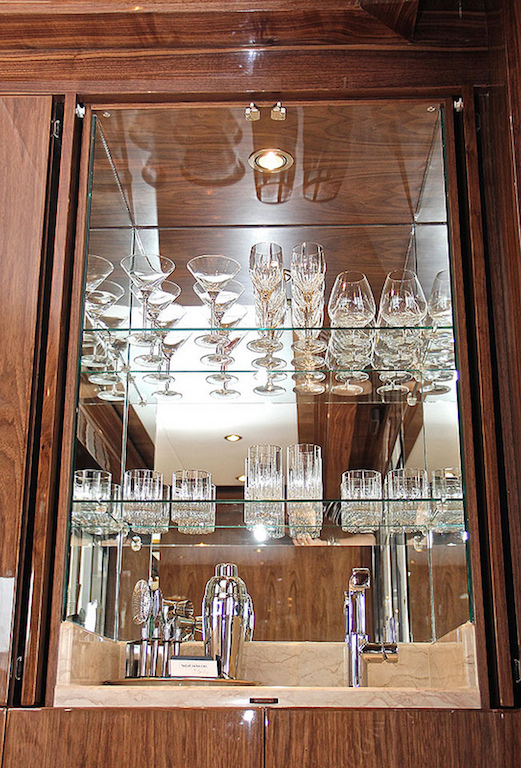 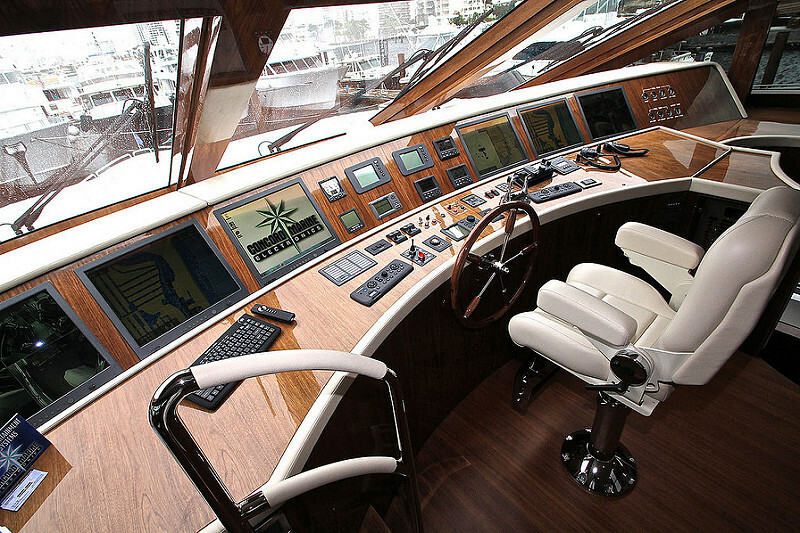 She was designed by J.B. Hargrave Yacht Design, with lovely interior by Shelley DiCondina. 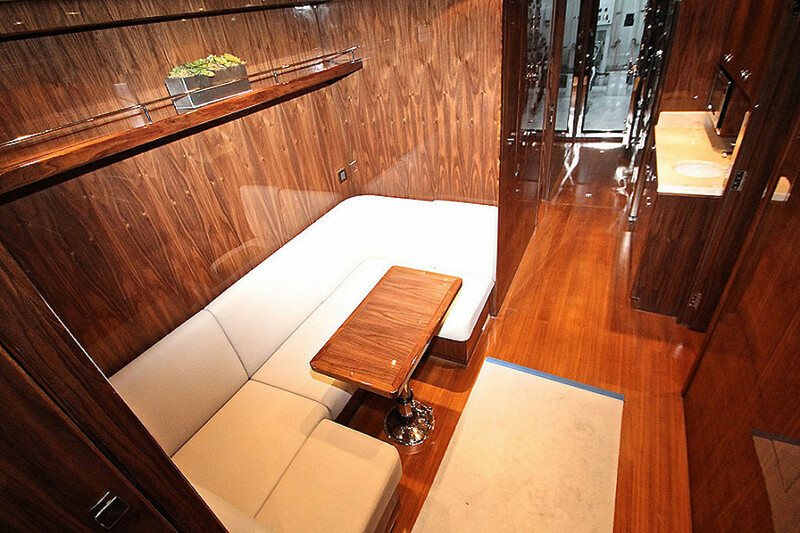 The living spaces are very spacious, with airly and light atmosphere onboard. 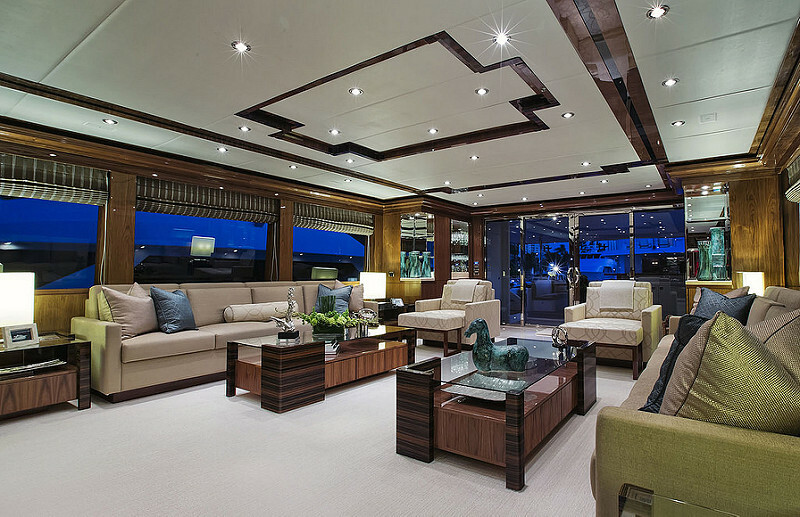 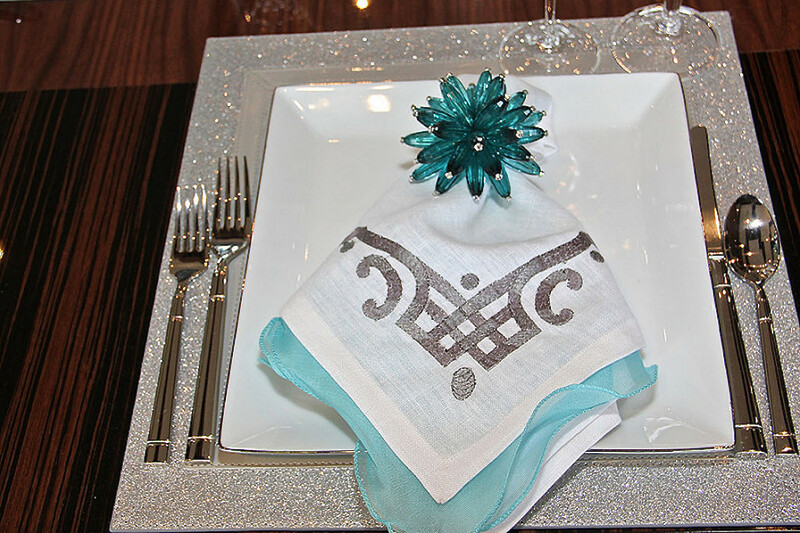 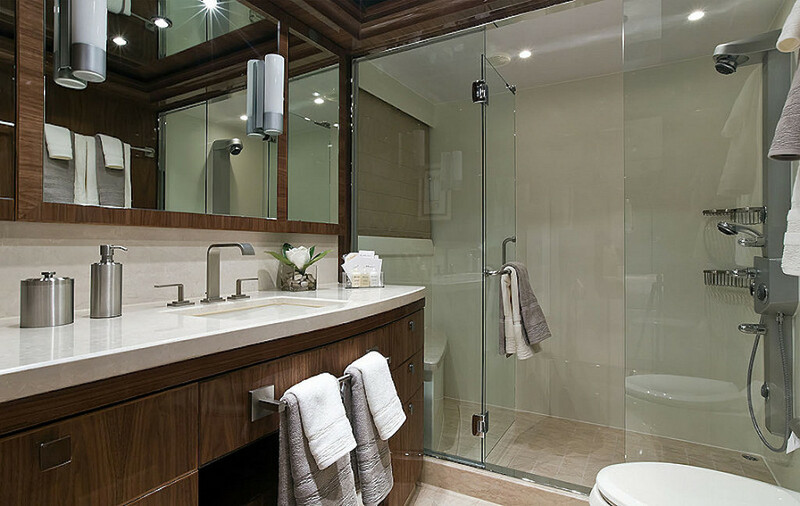 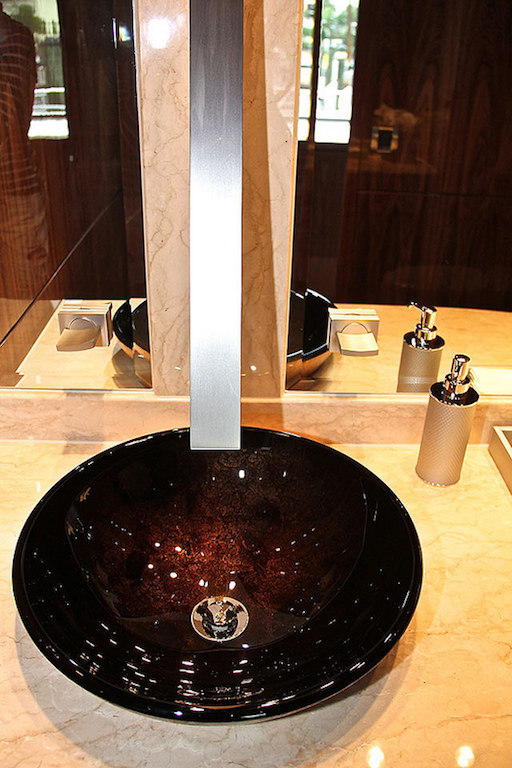 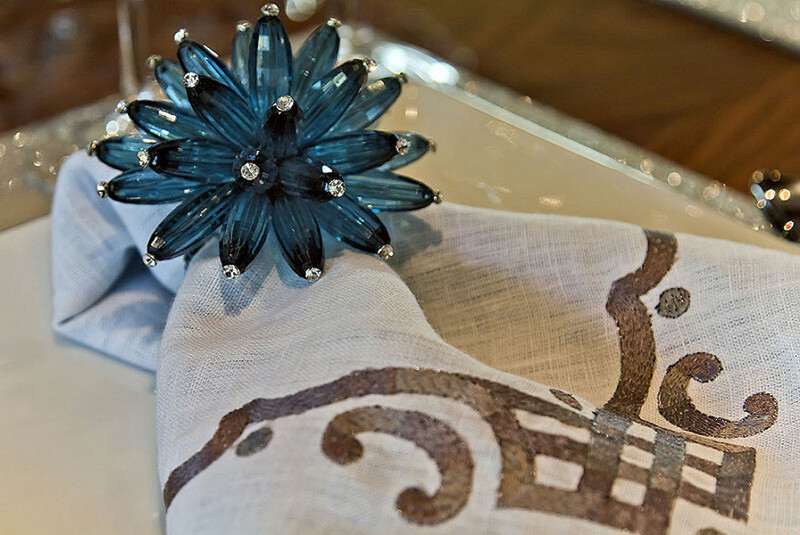 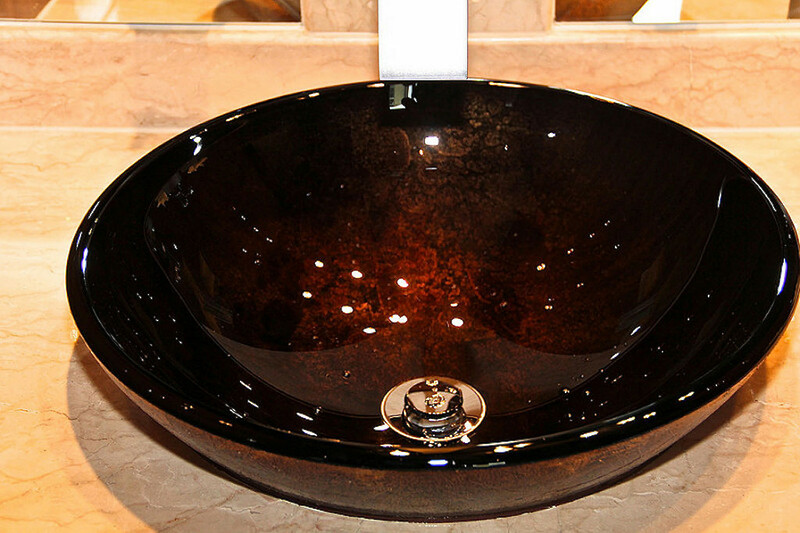 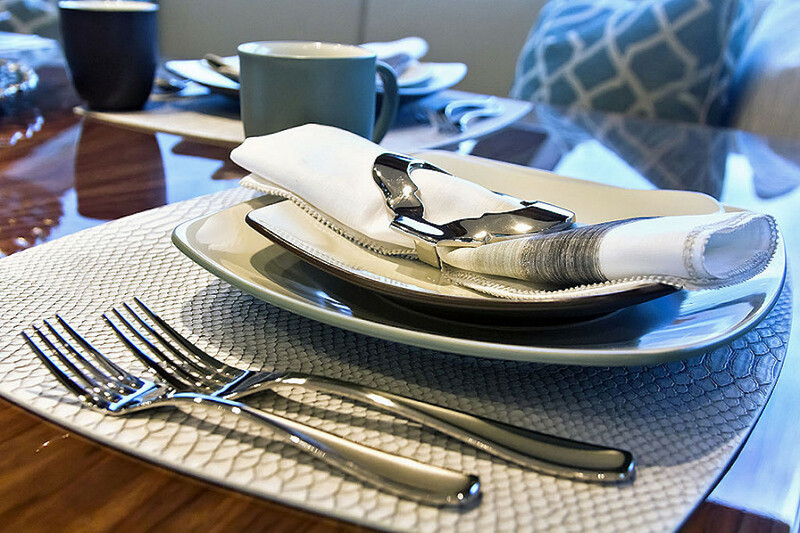 The interior design represents both modern and timeless decor. 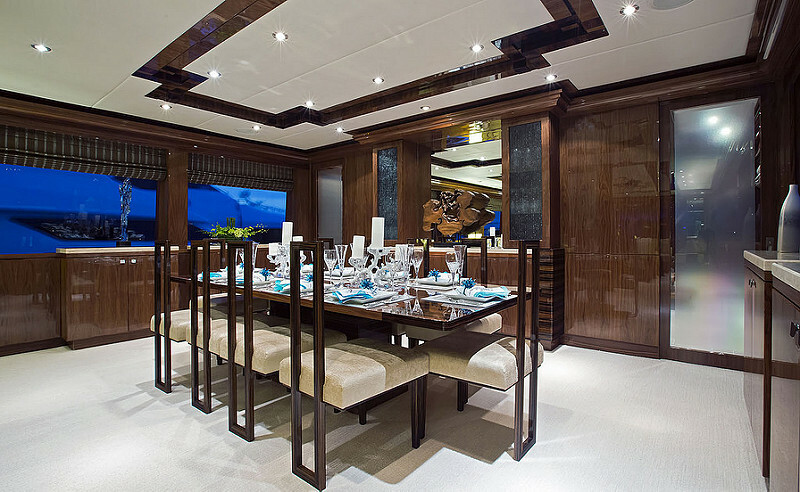 The main salon is an open plan, with a lavish dining table and a lounge area. 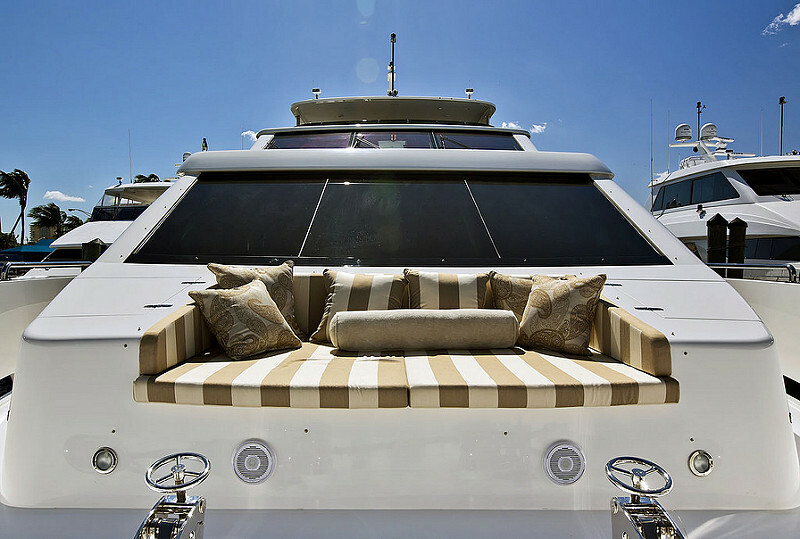 The guest will enjoy relaxing on plush furniture while having a chat with a cup of coffee and sipping some delicious cocktails. 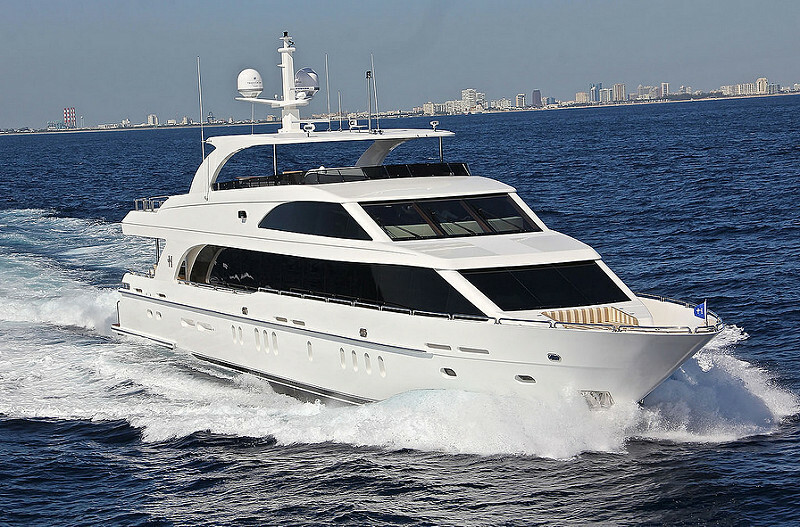 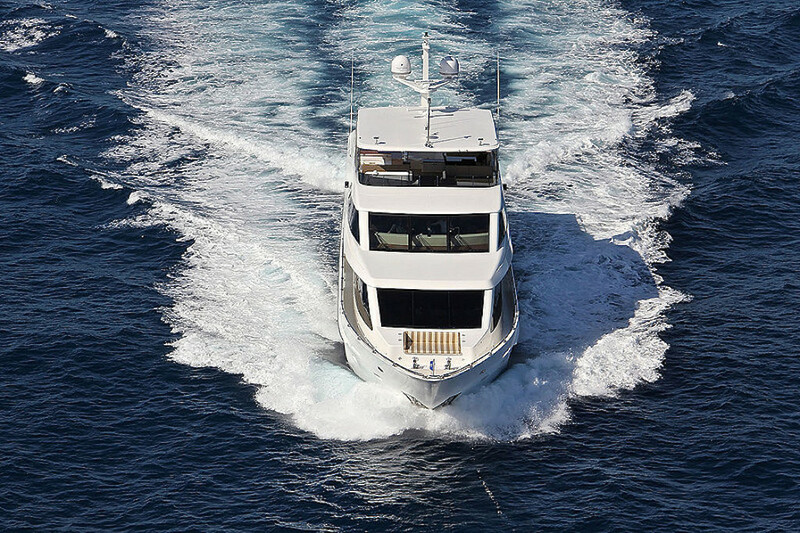 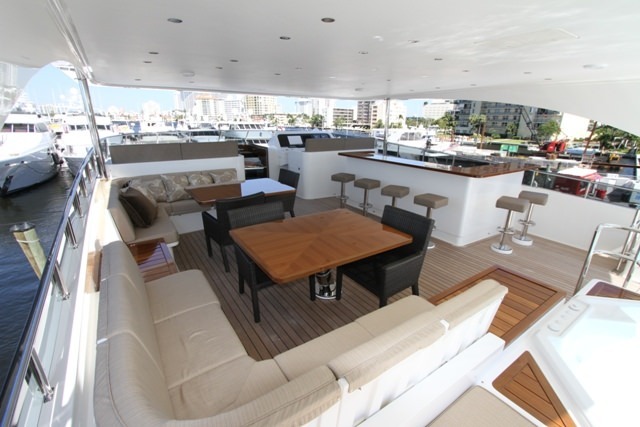 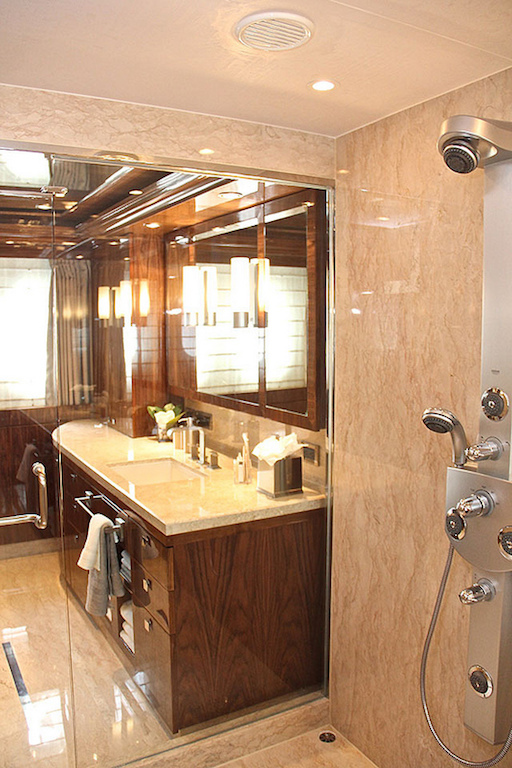 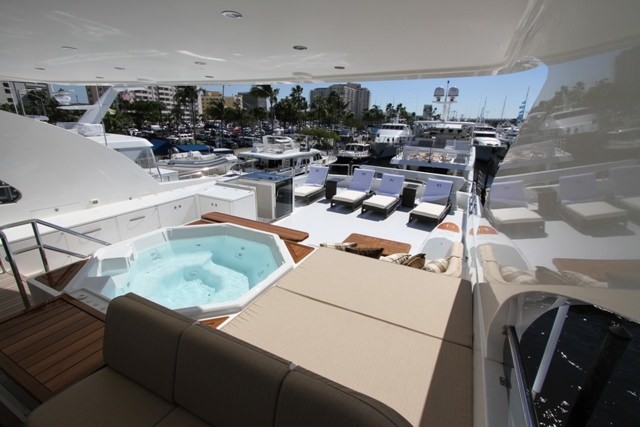 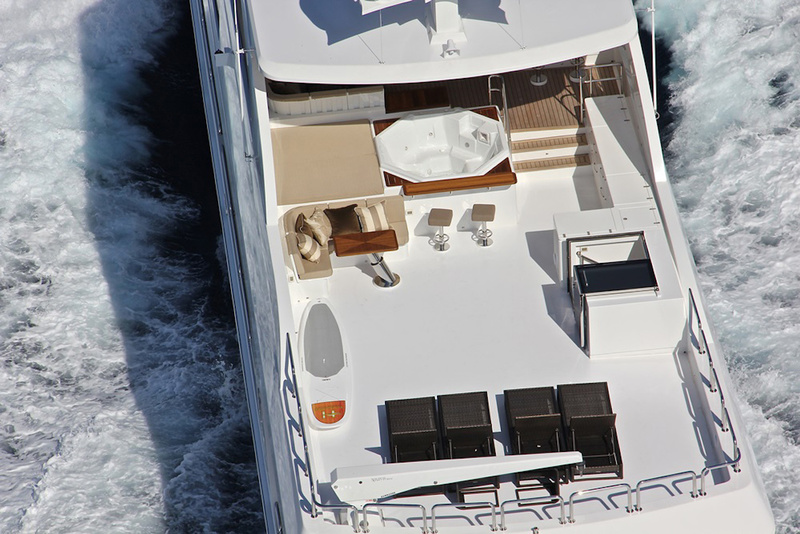 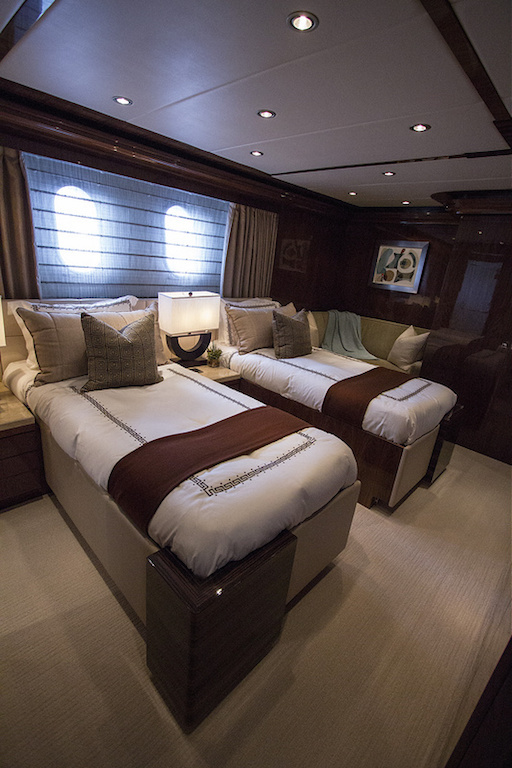 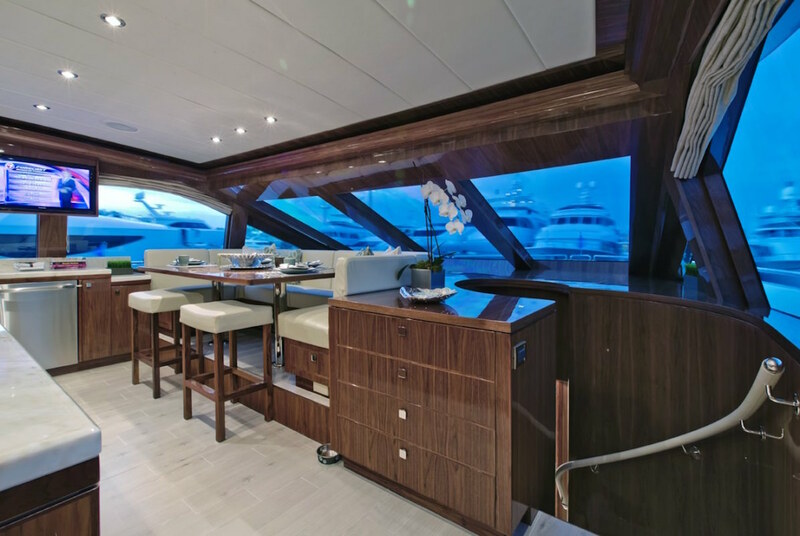 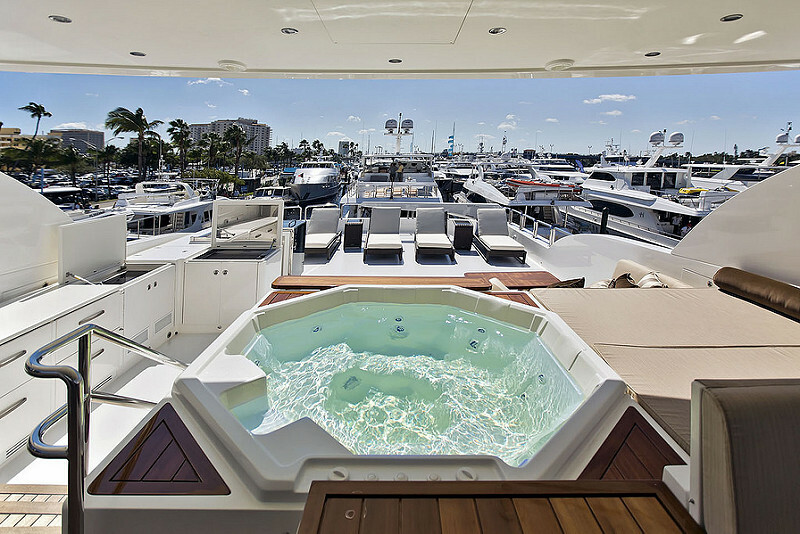 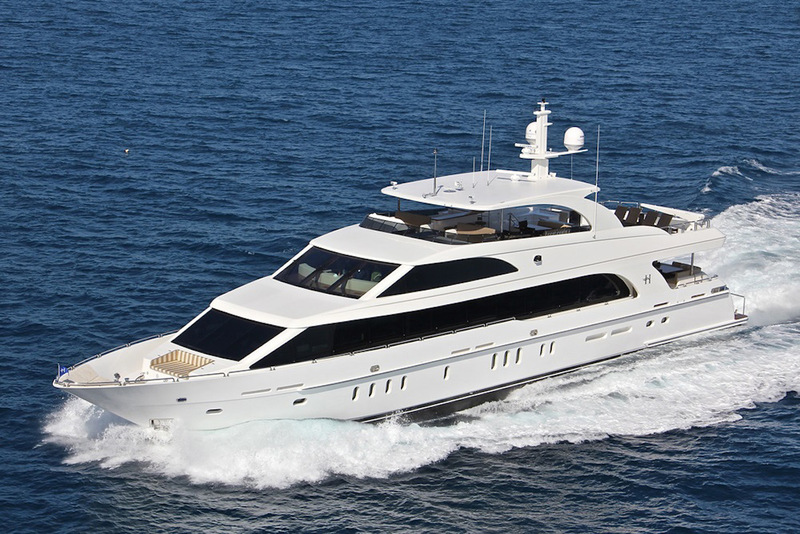 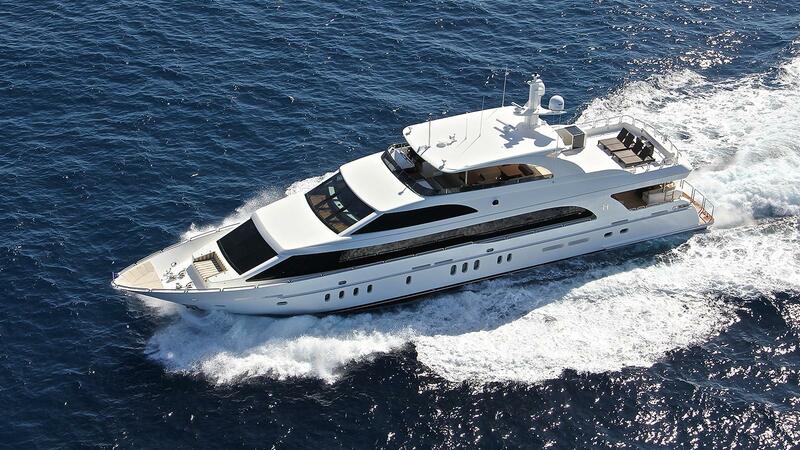 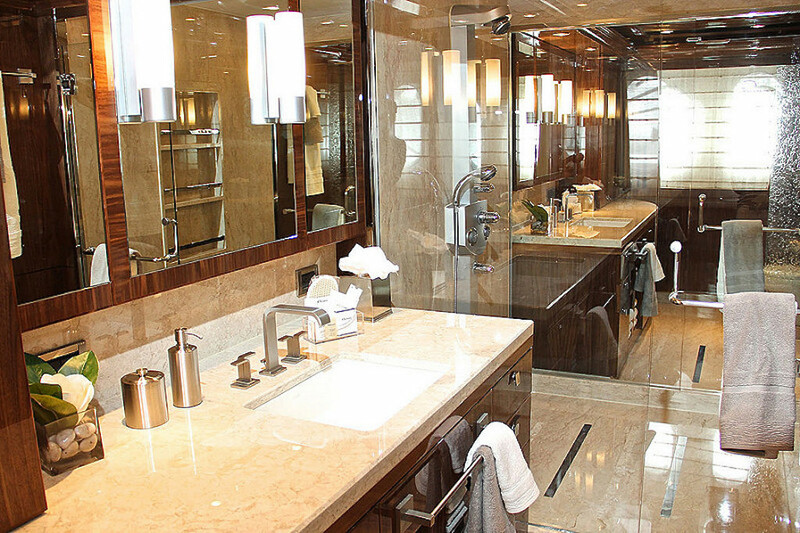 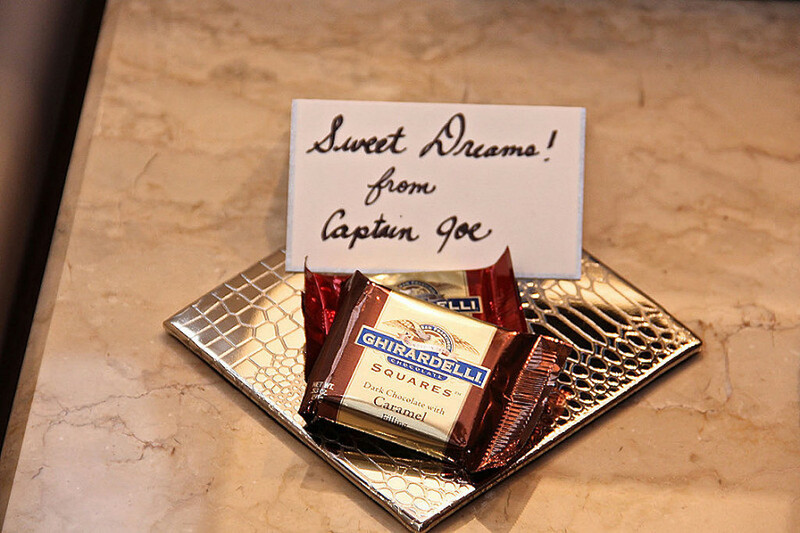 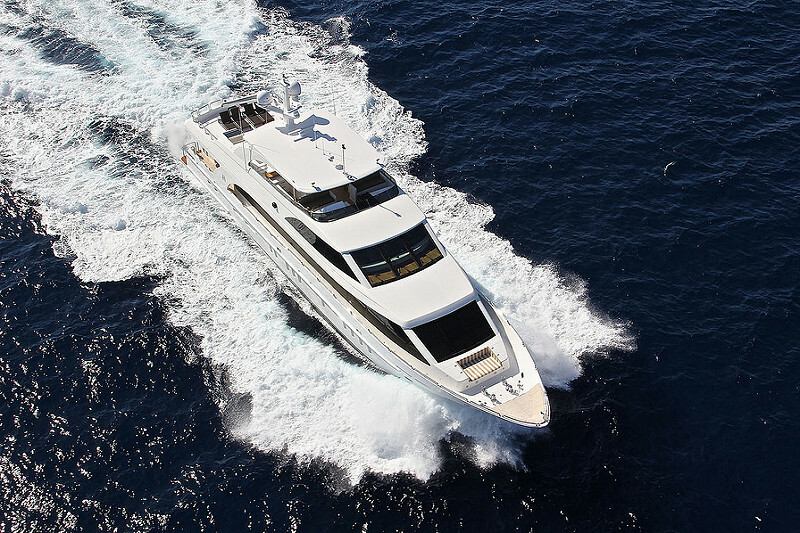 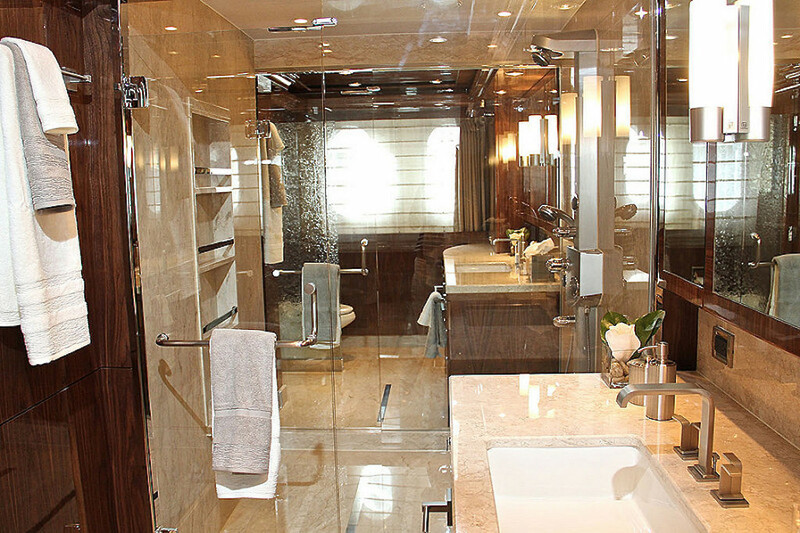 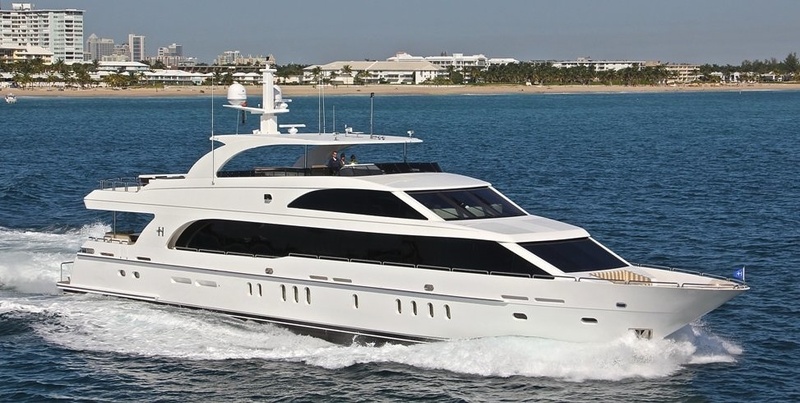 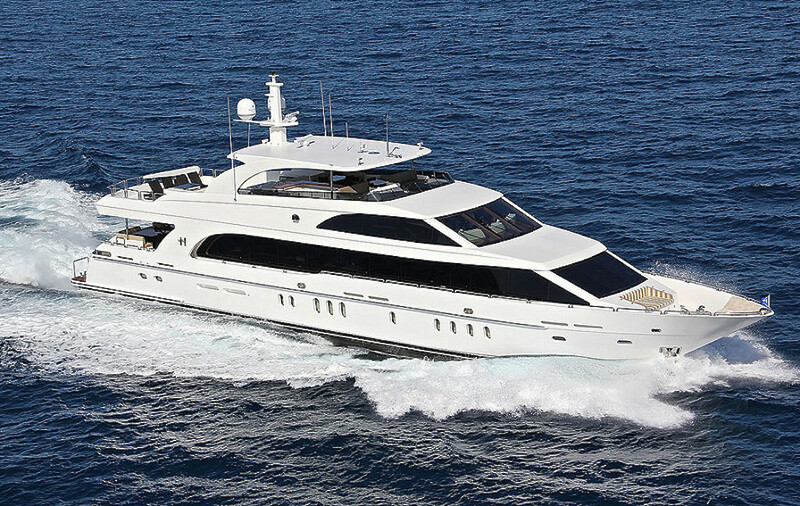 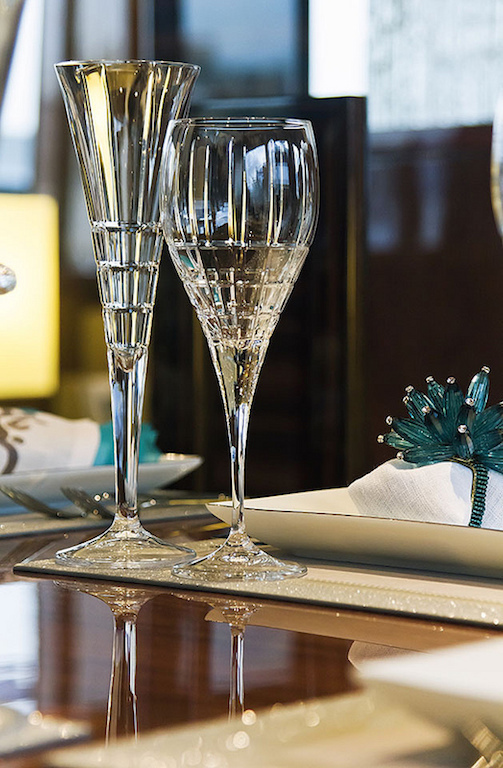 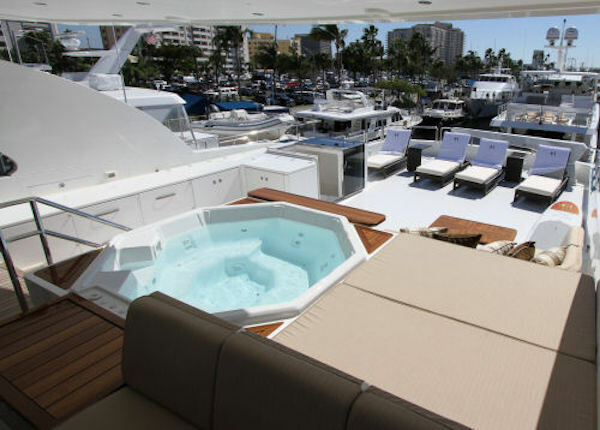 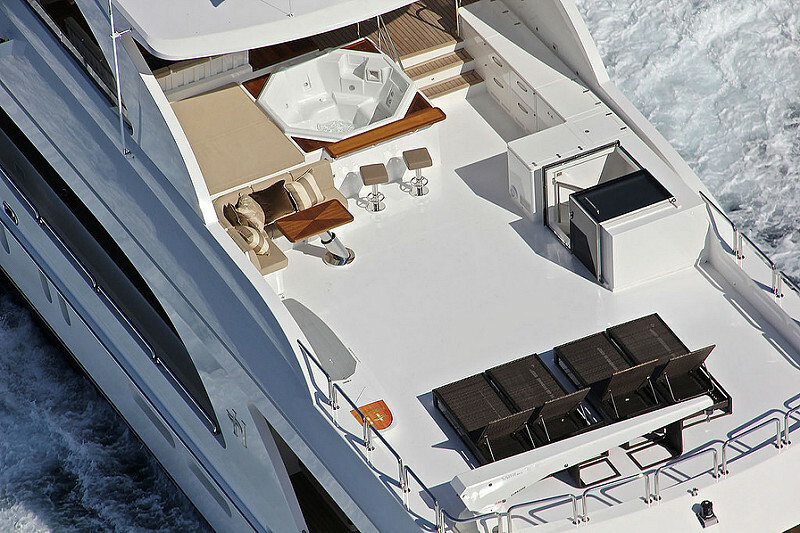 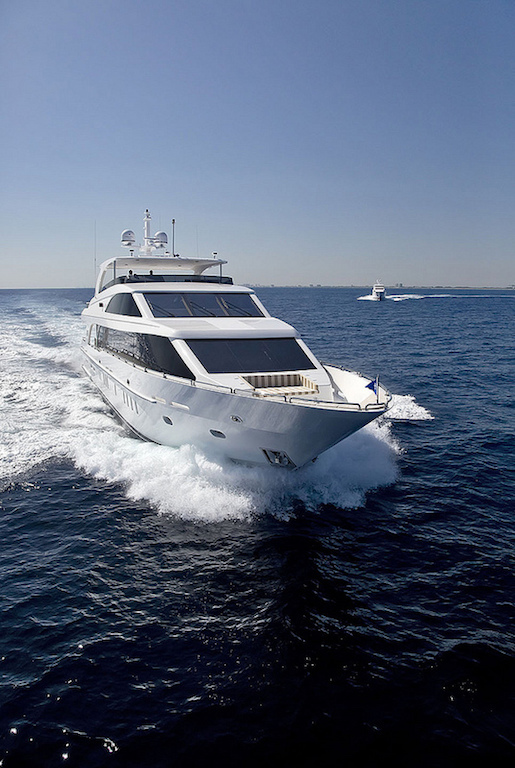 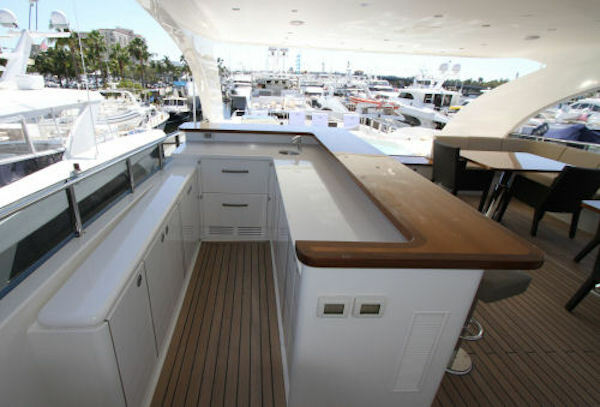 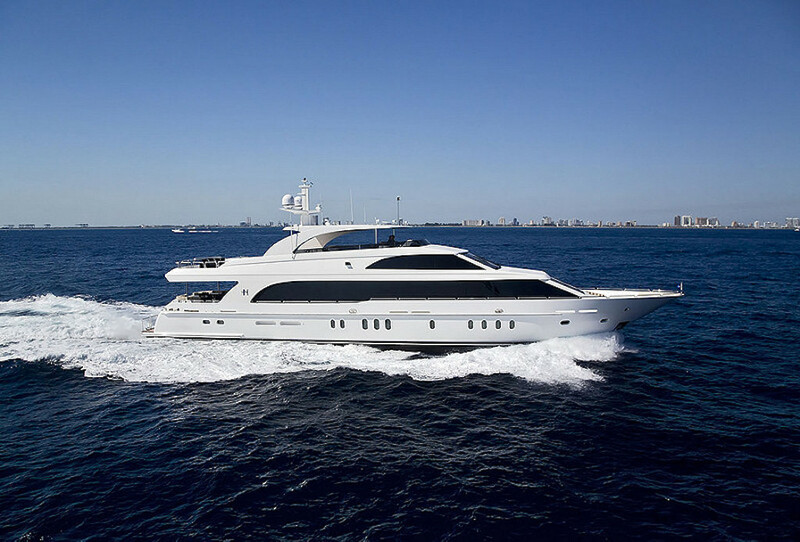 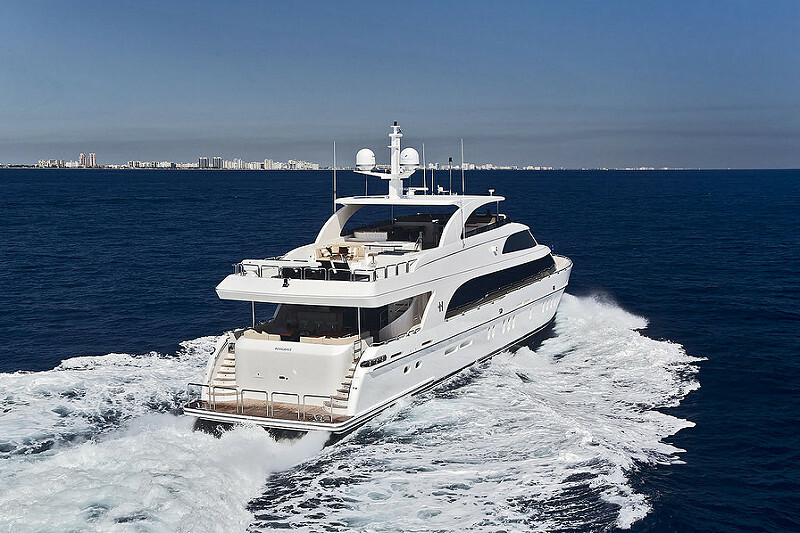 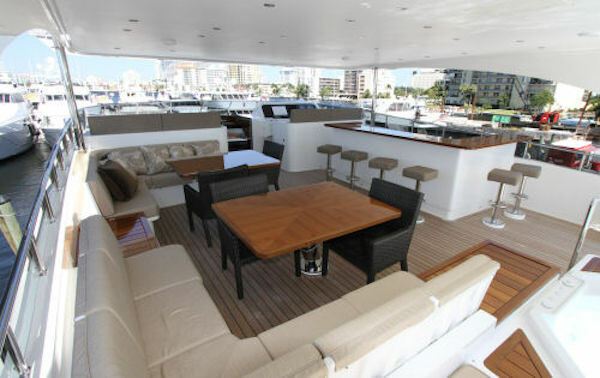 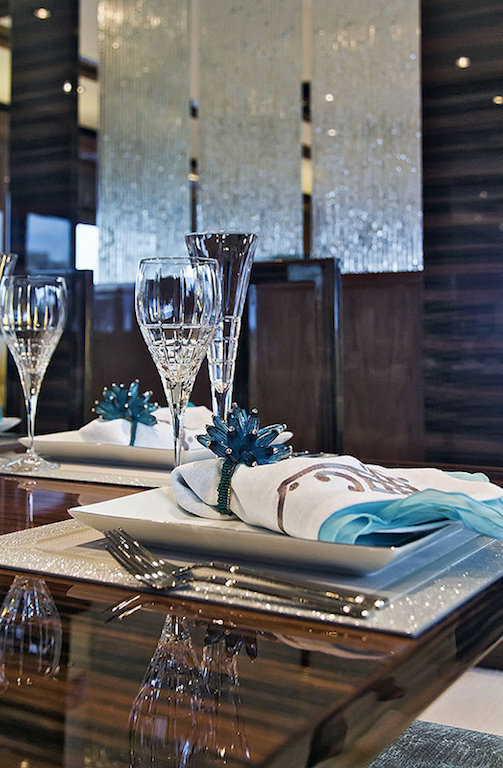 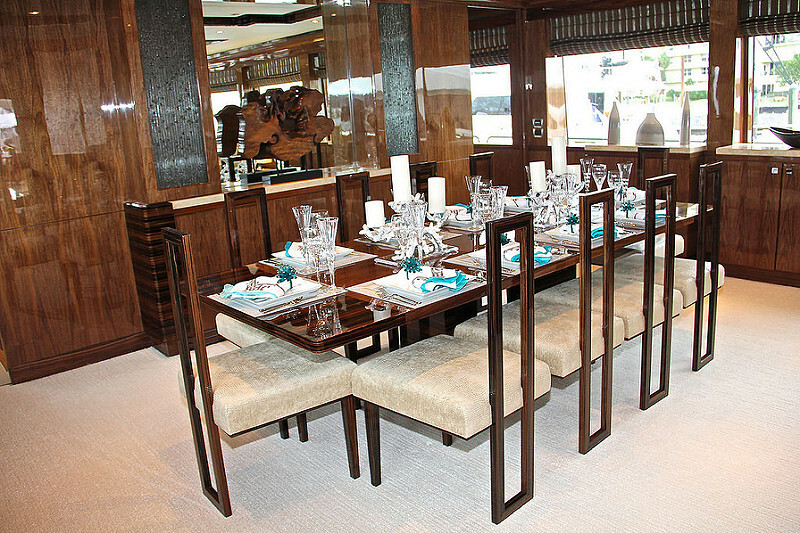 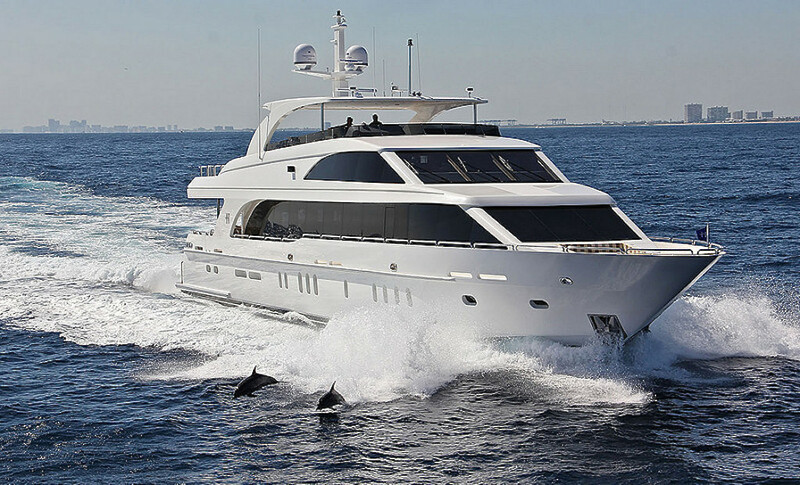 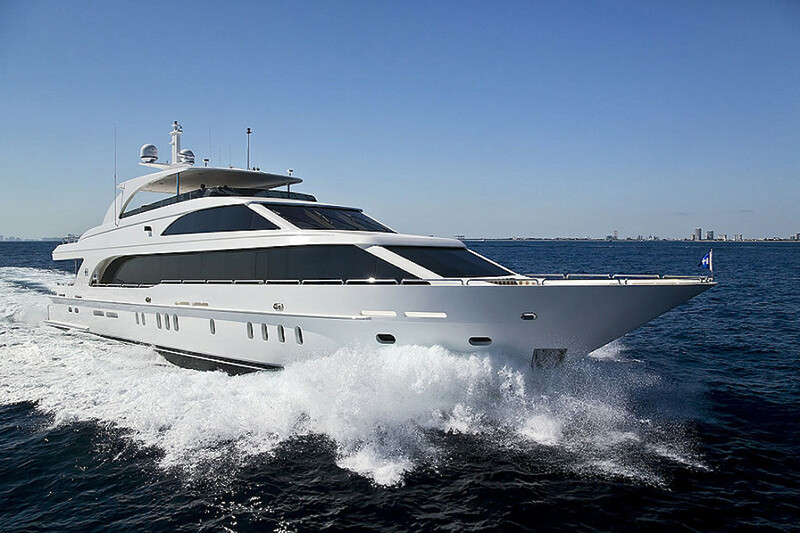 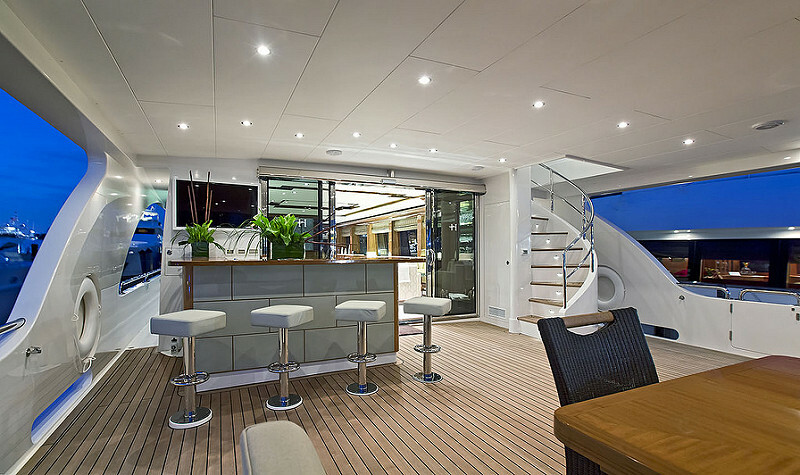 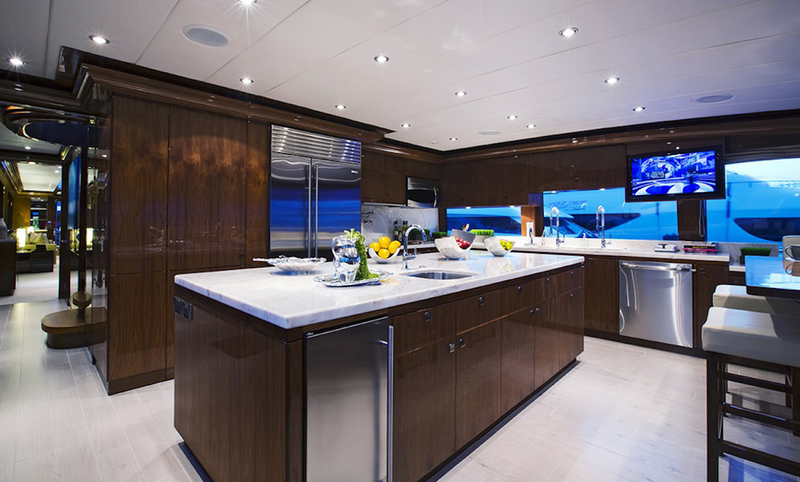 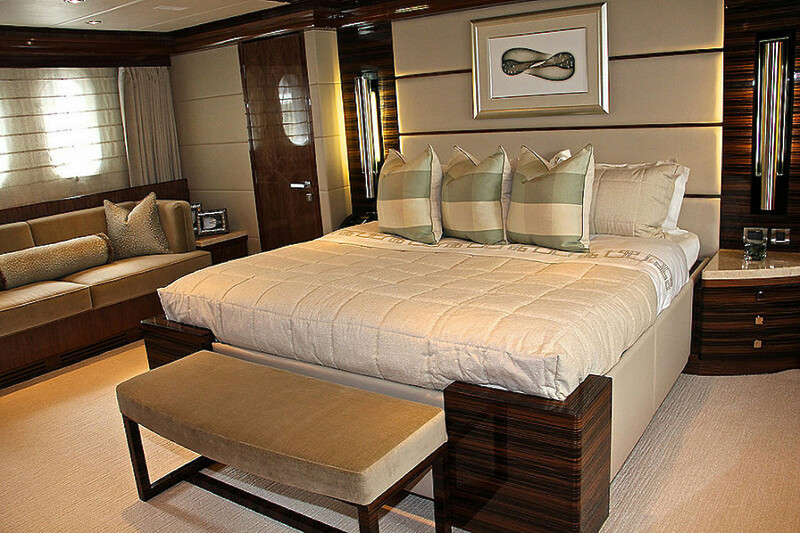 Exterior spaces host great modern amenities and provide total comfort for charter guests aboard Gigi II. 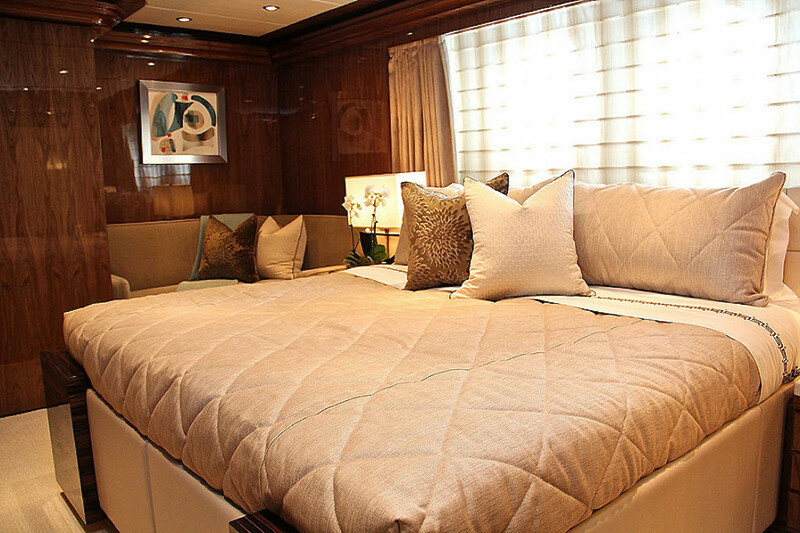 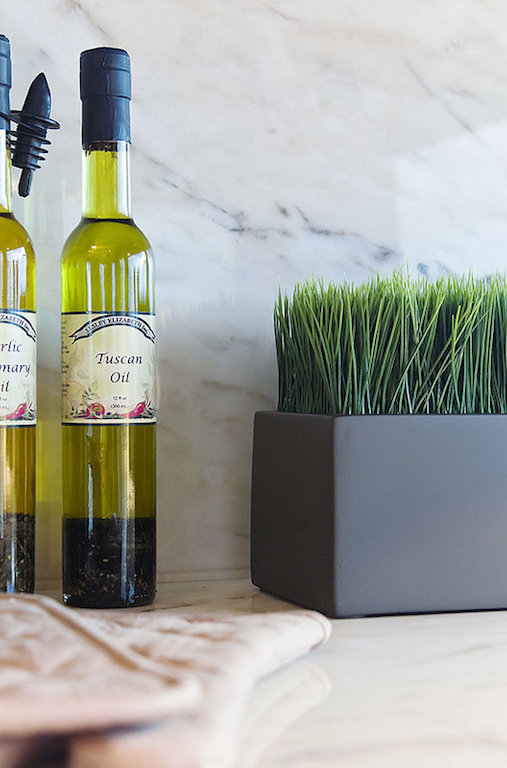 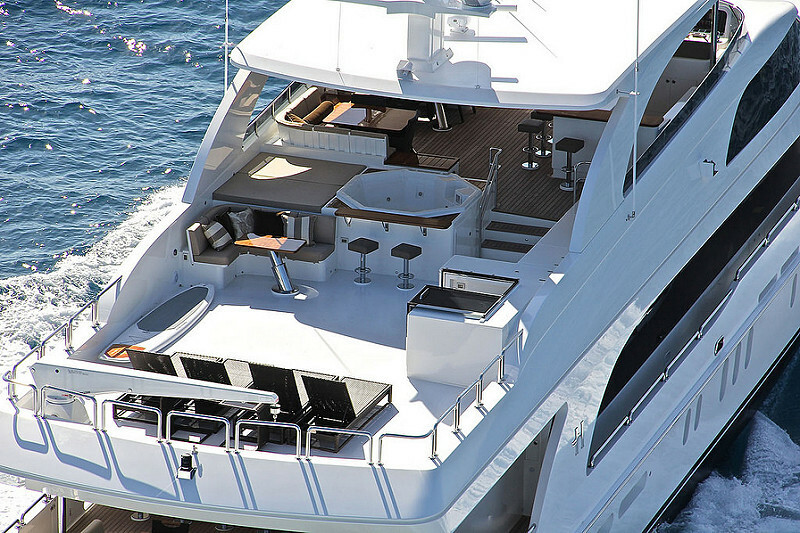 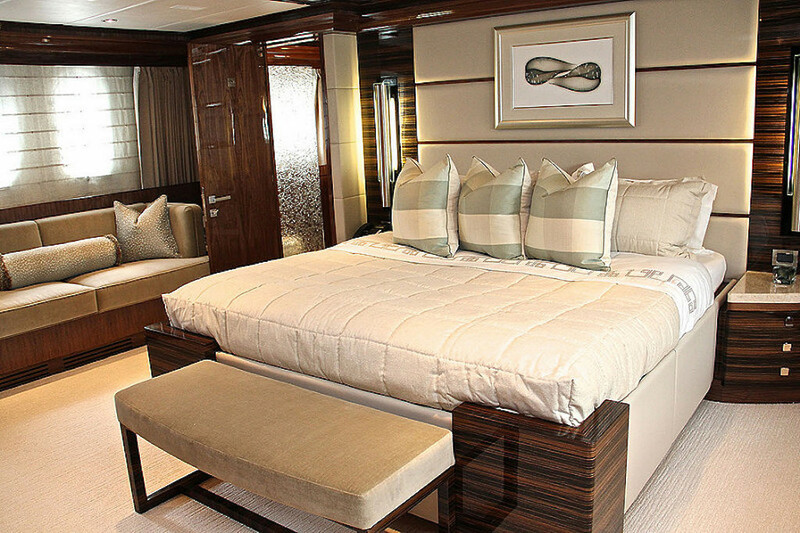 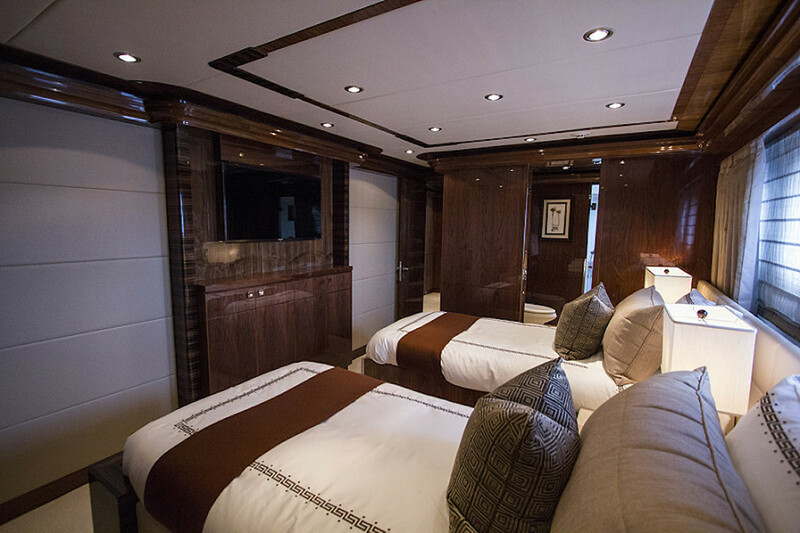 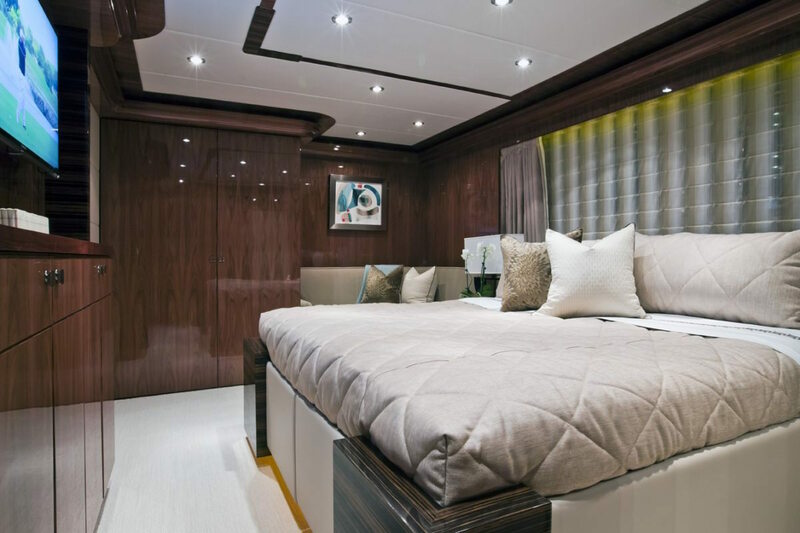 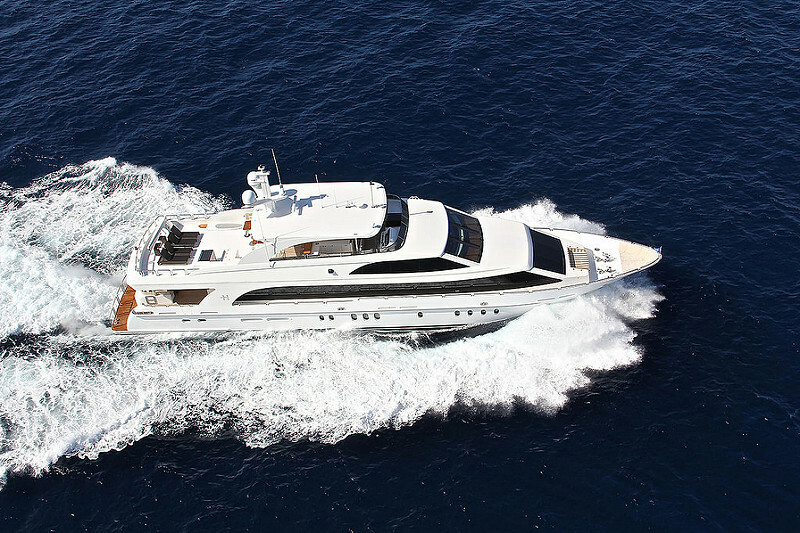 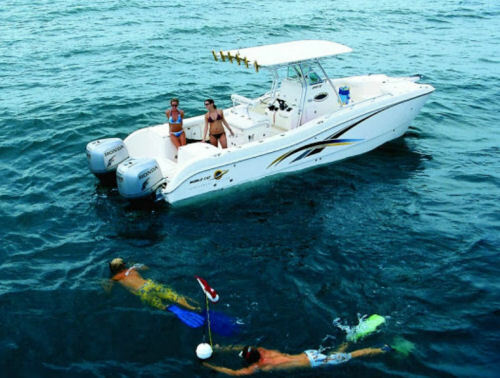 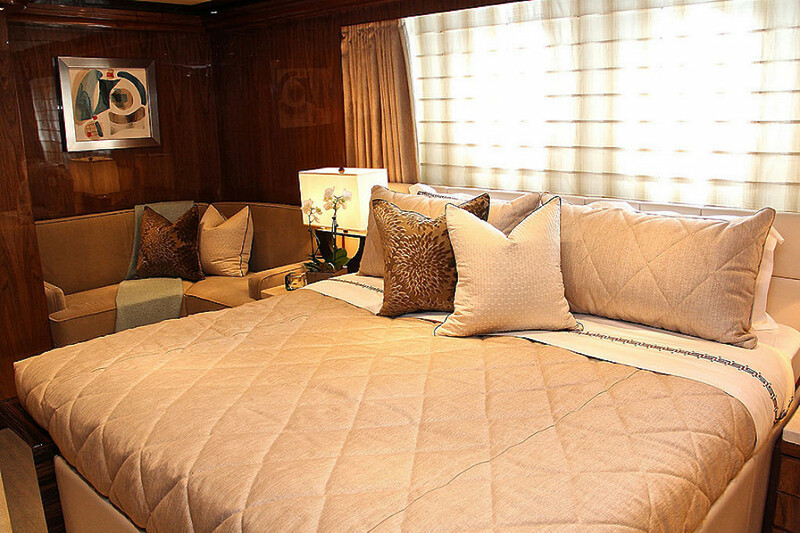 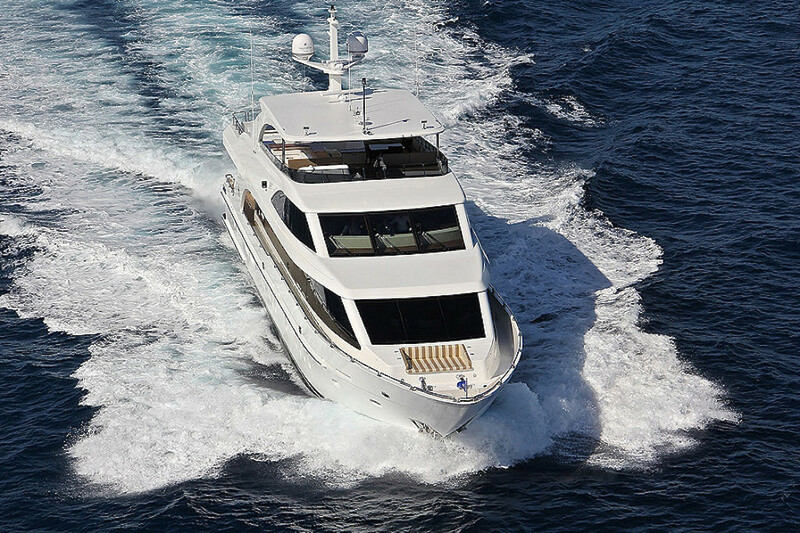 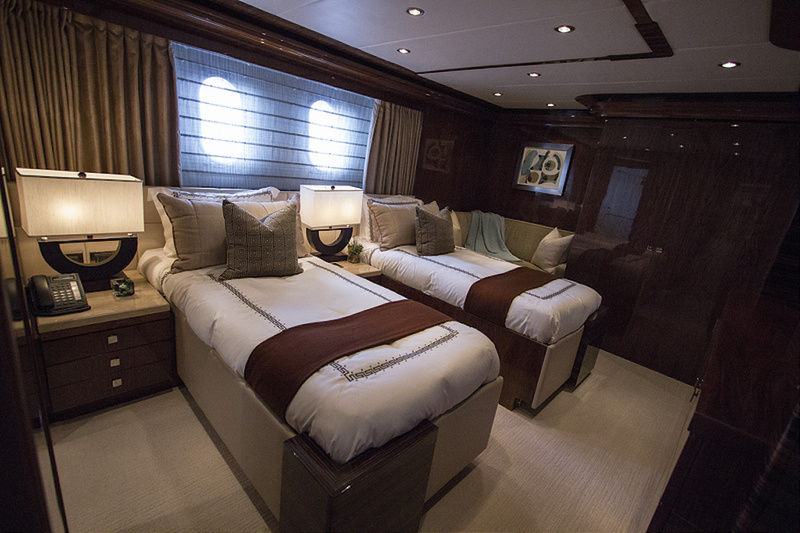 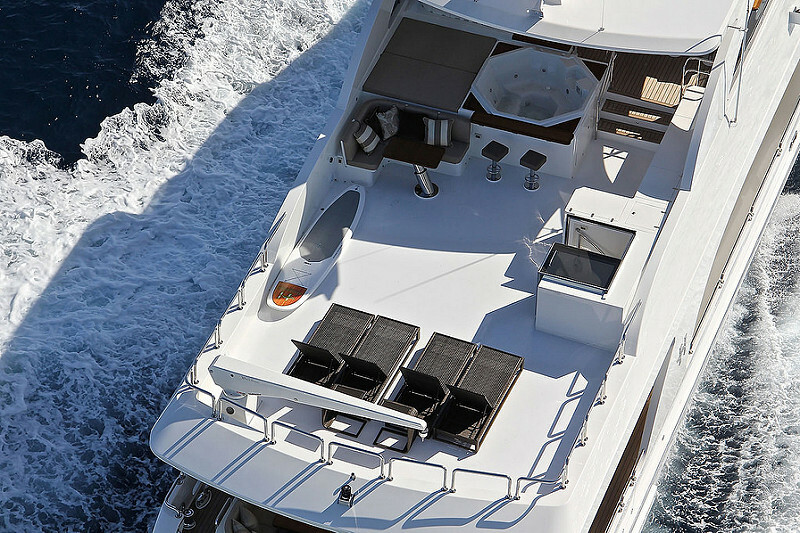 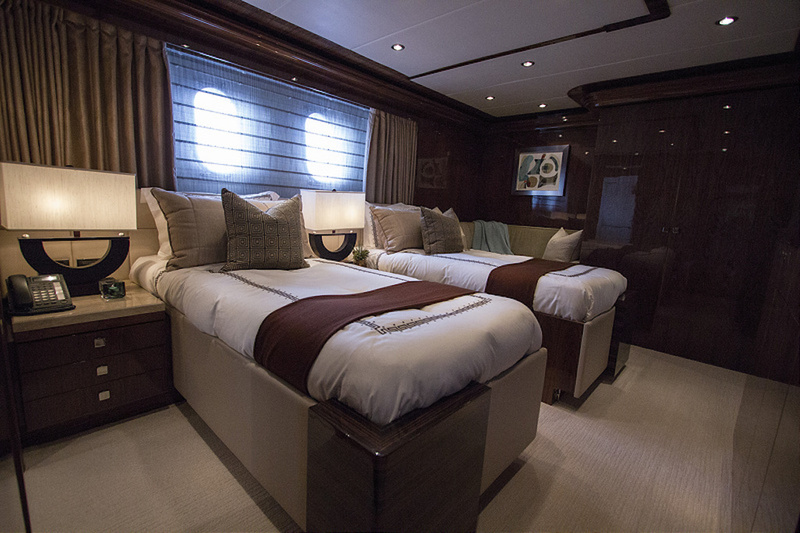 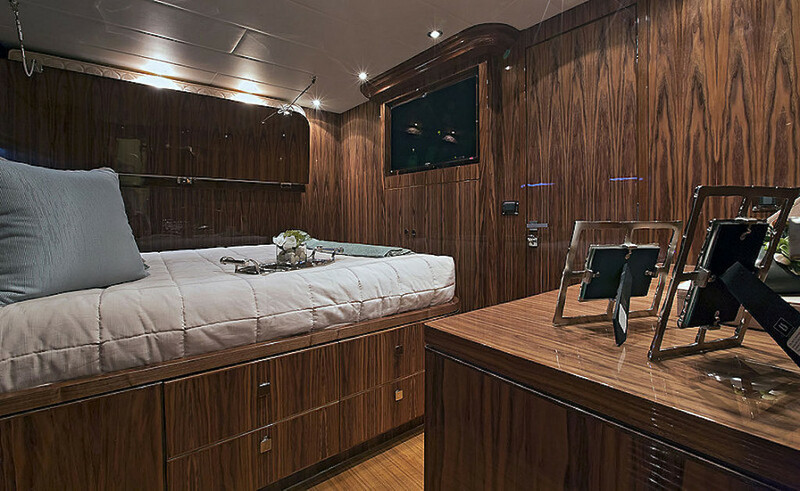 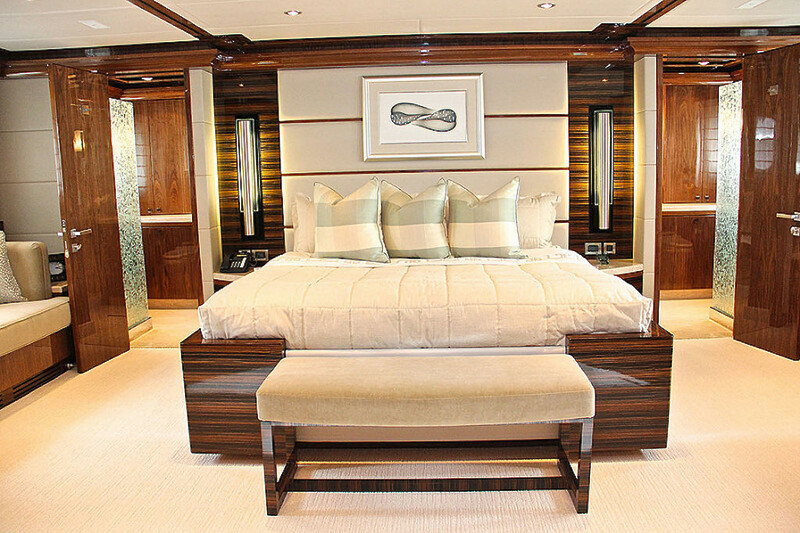 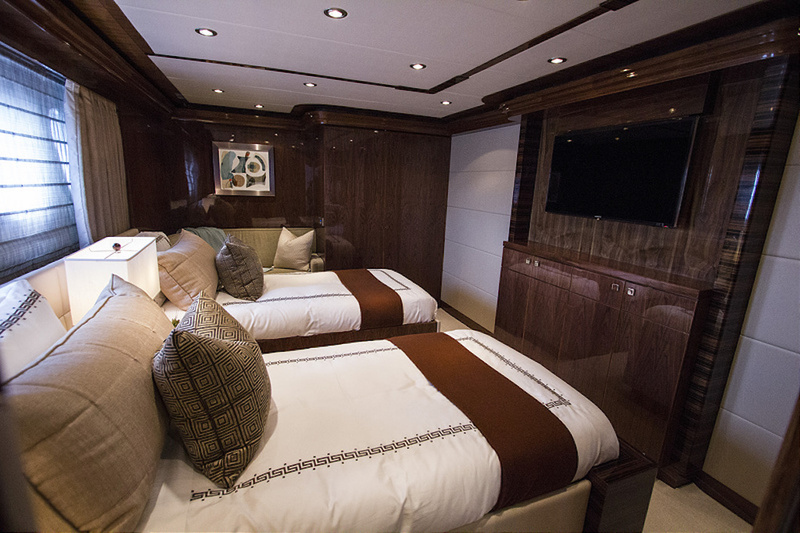 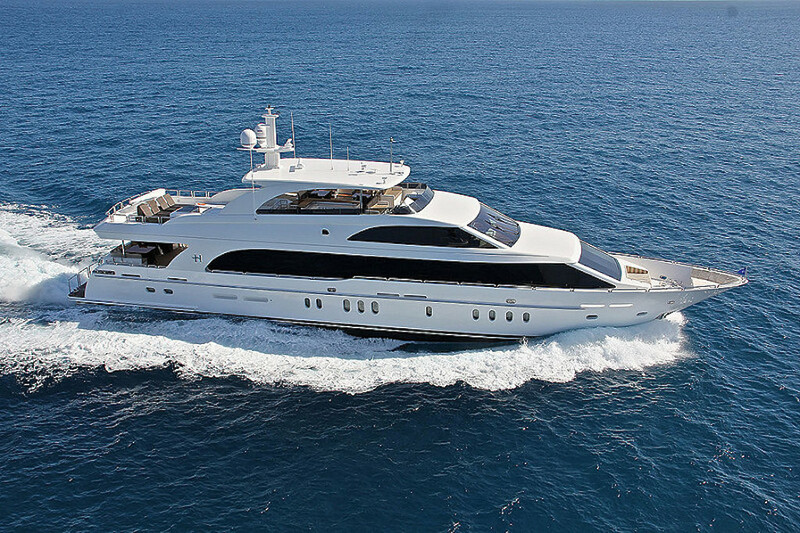 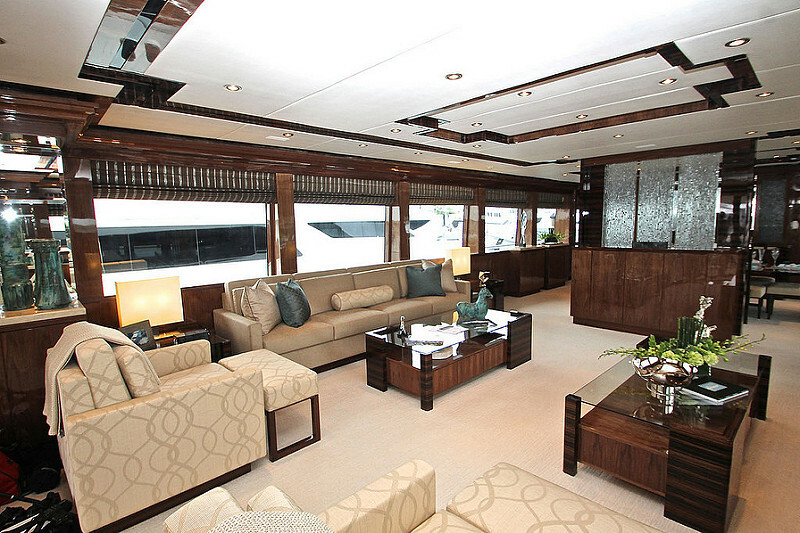 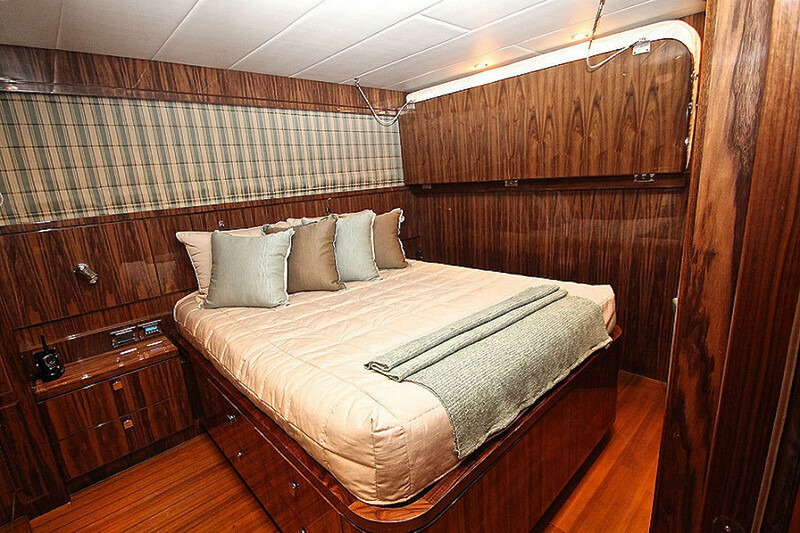 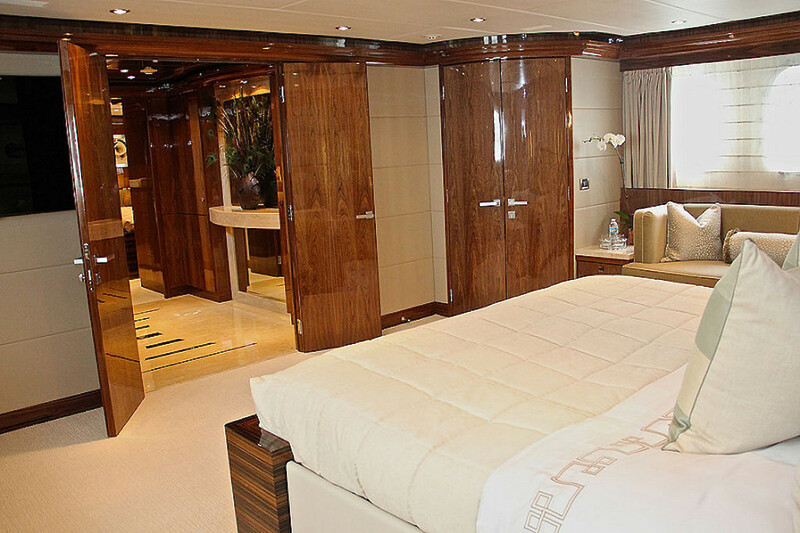 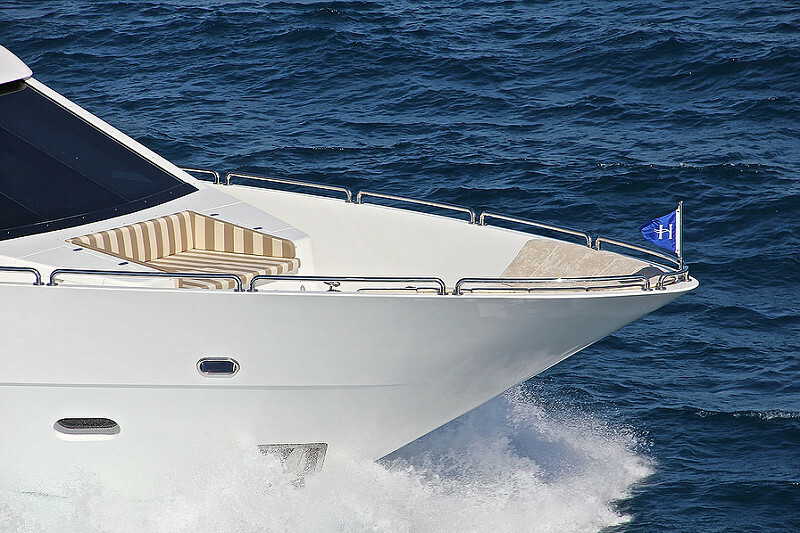 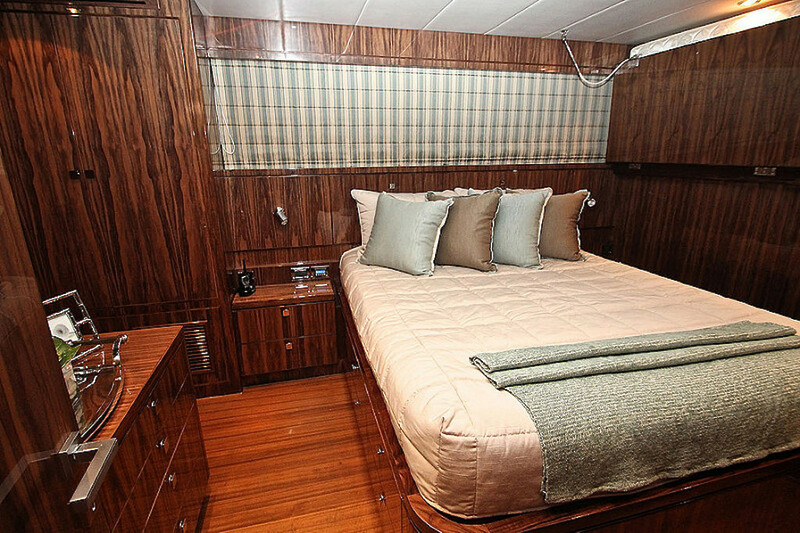 Gigi II provides comfortable accommodation for up to 8 guests. 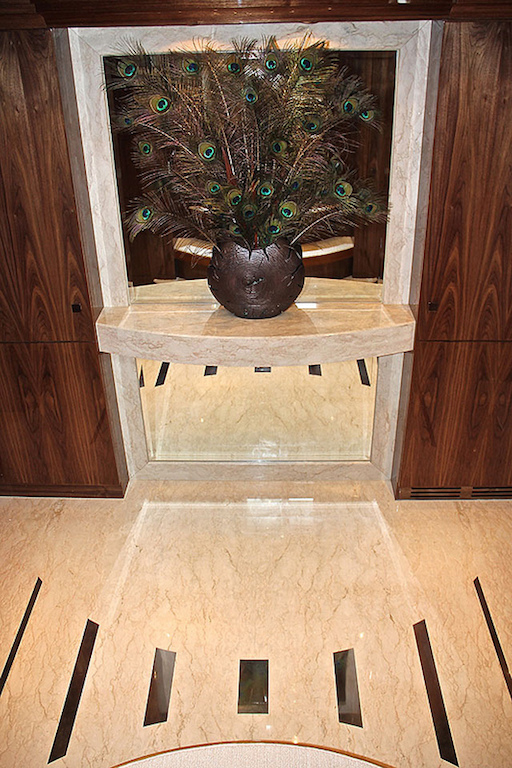 She is managed by a professional and friendly crew of 5. 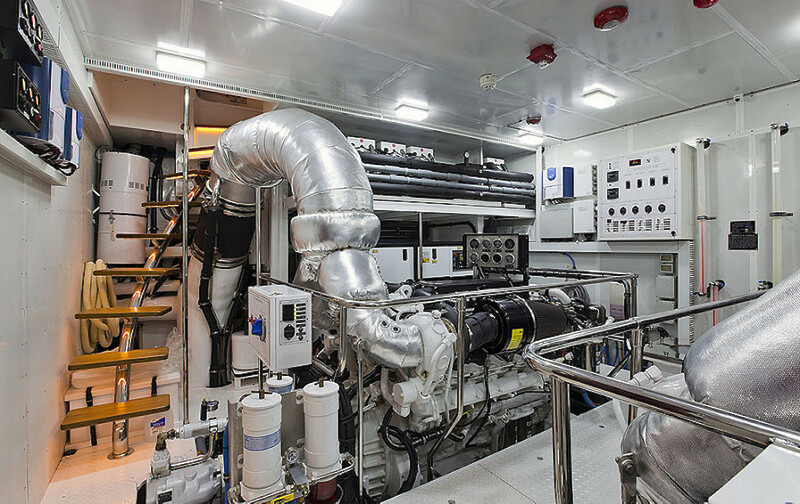 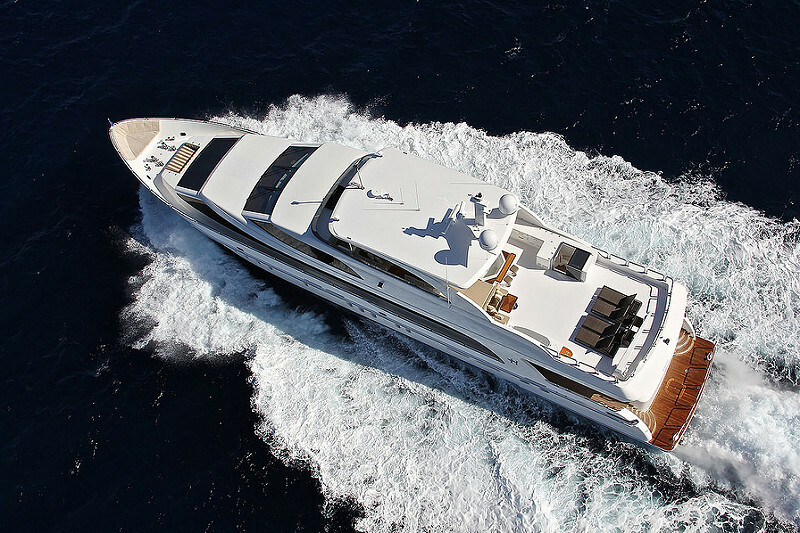 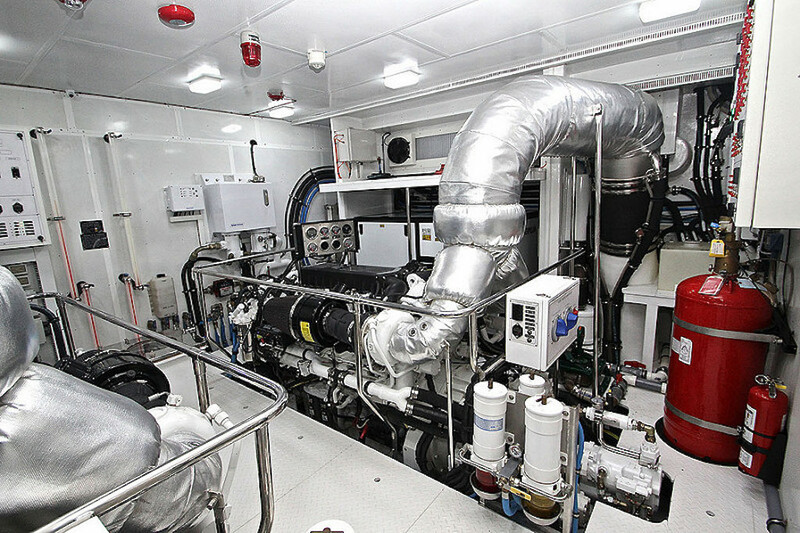 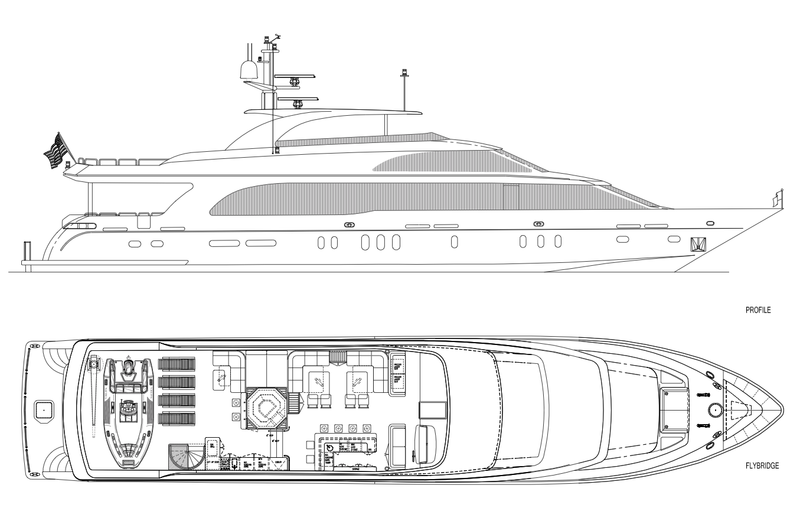 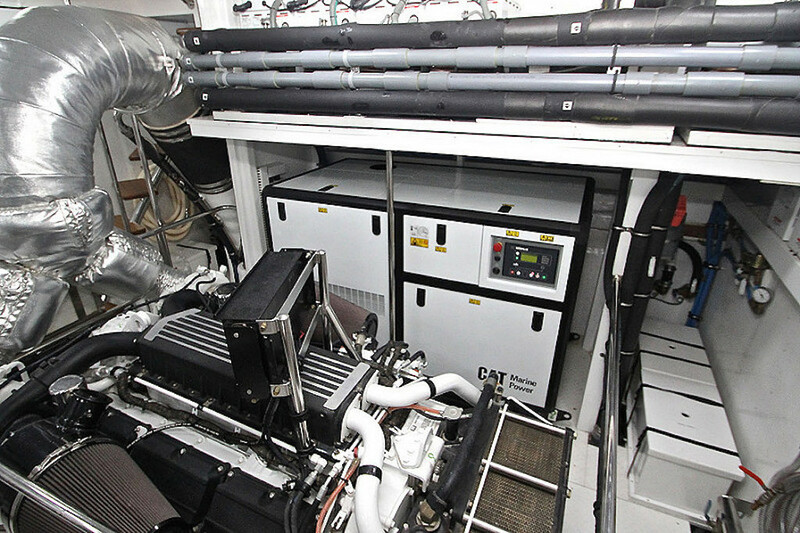 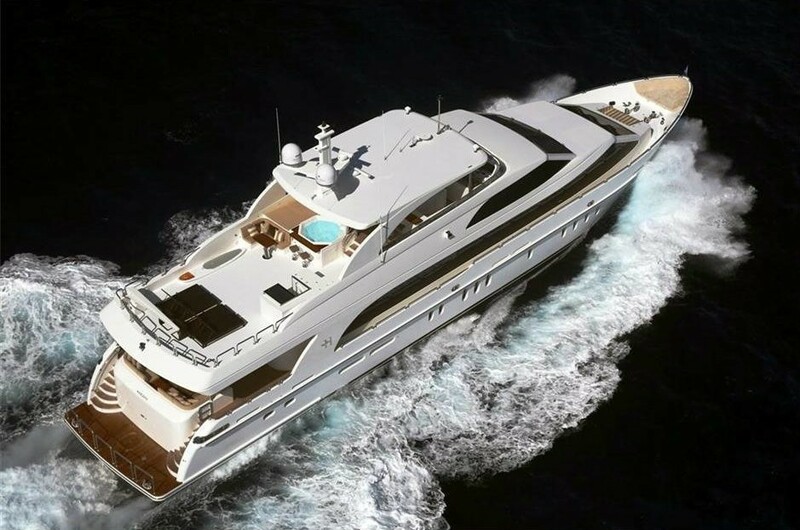 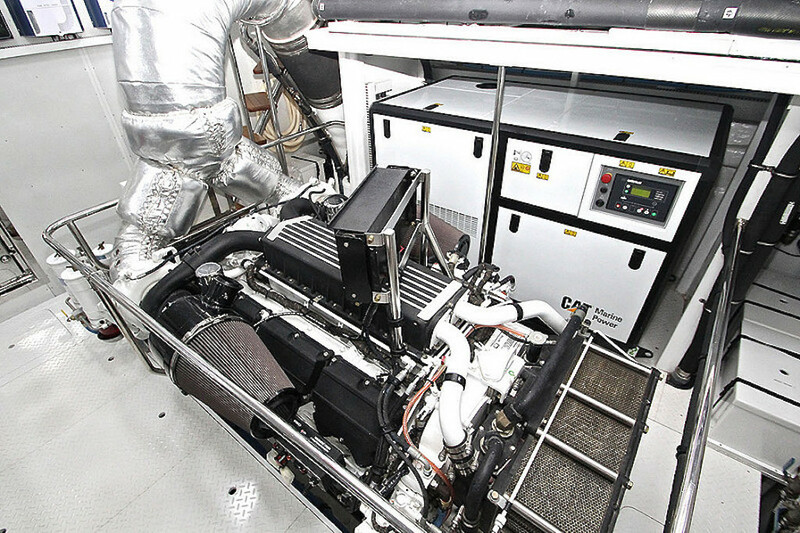 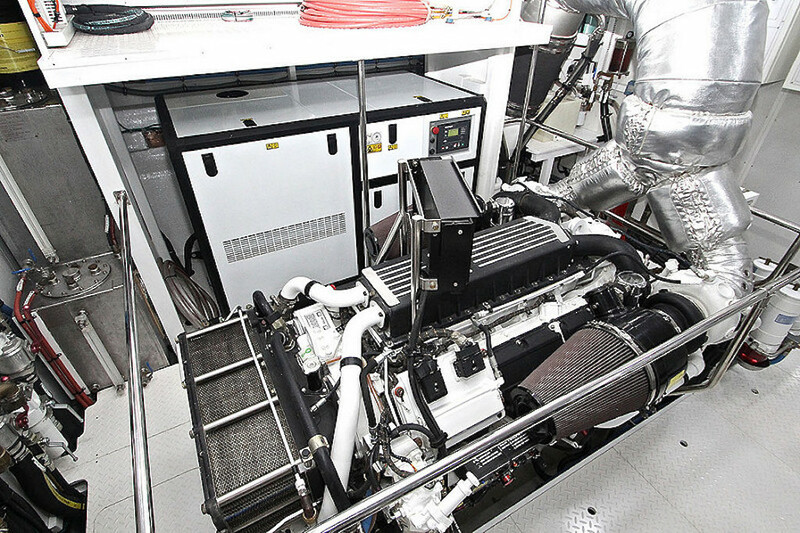 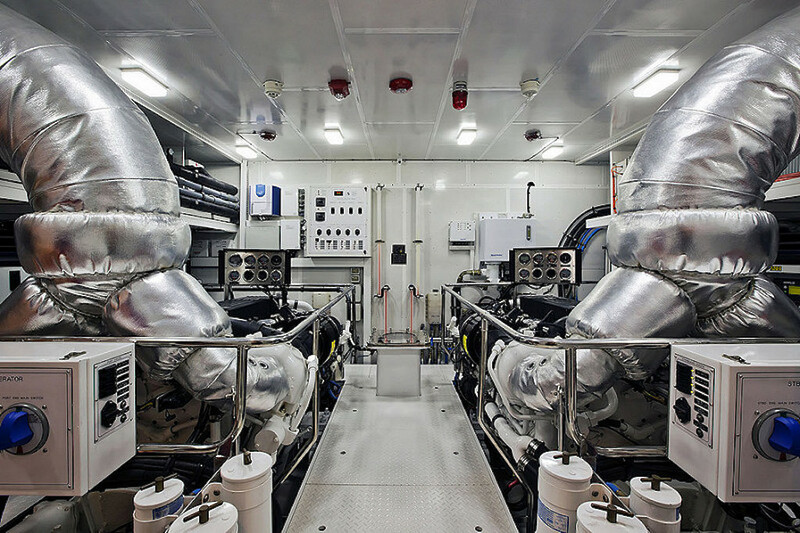 Twin Caterpillar C-32 engines can propel the 125 RPH superyacht Gigi II to the top speed of 19 knots. 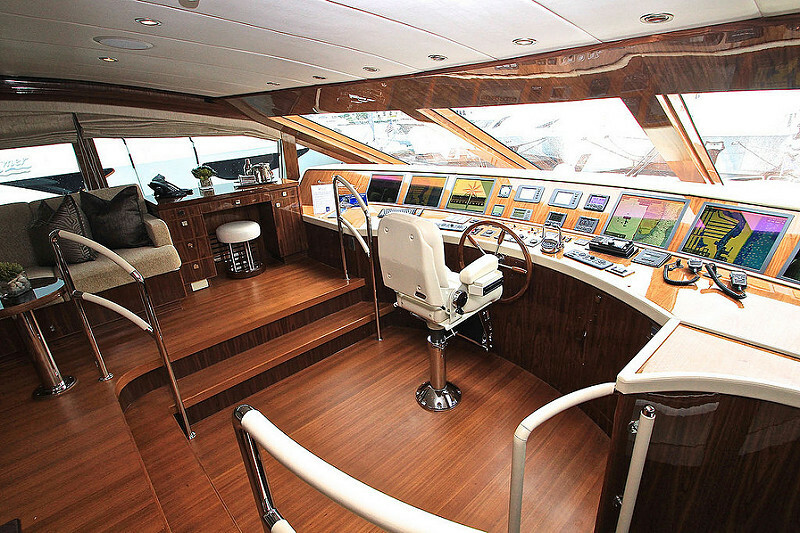 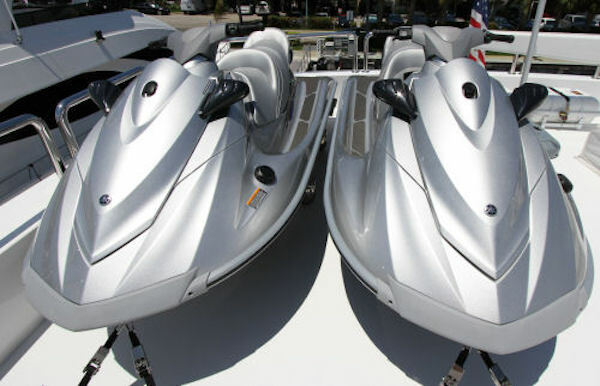 She can easily cruise at 15 knots. 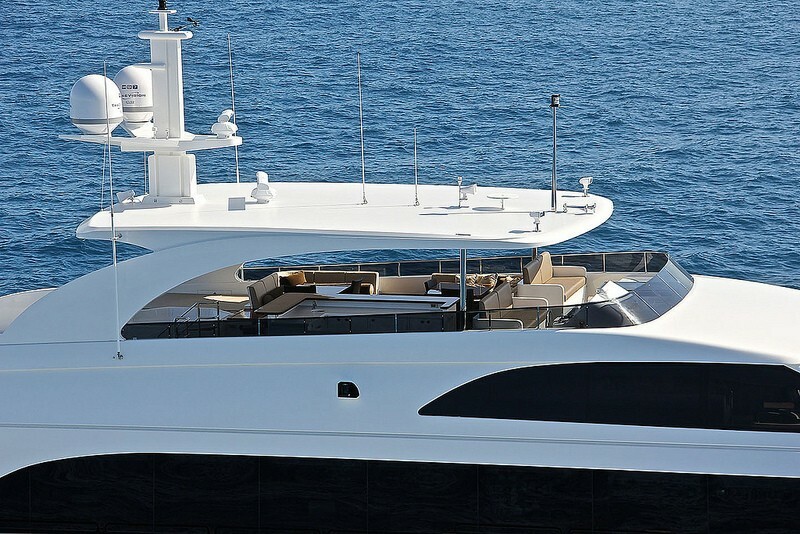 Her beam is of 25ft, while her draft is of 7ft. 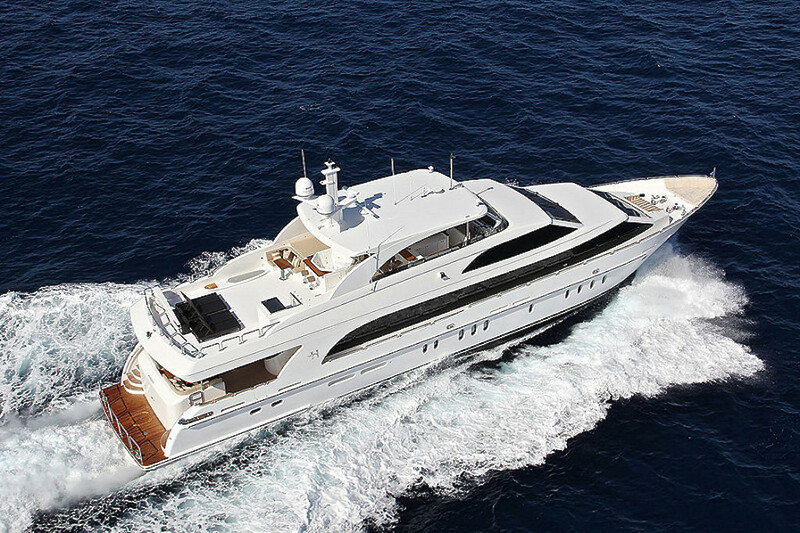 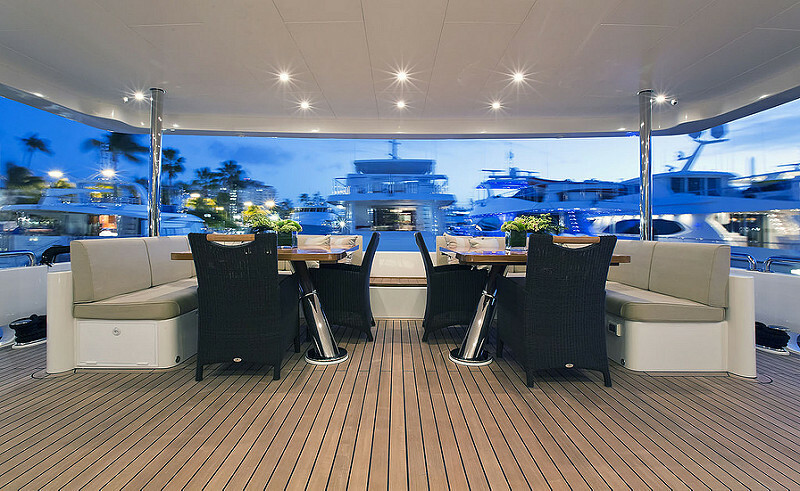 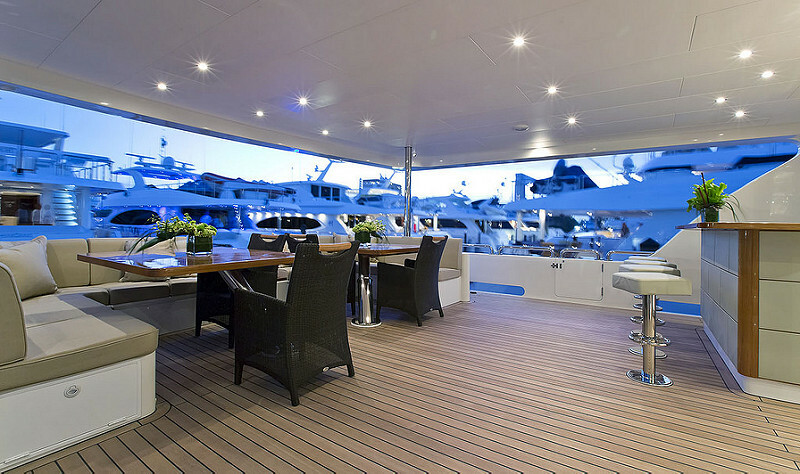 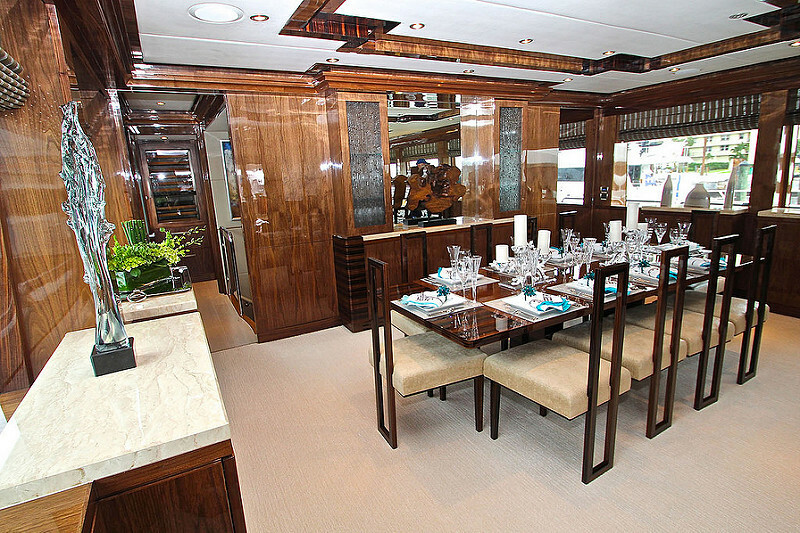 Accommodation aboard Hargrave superyacht Gigi II is provided to up to 8 guests. 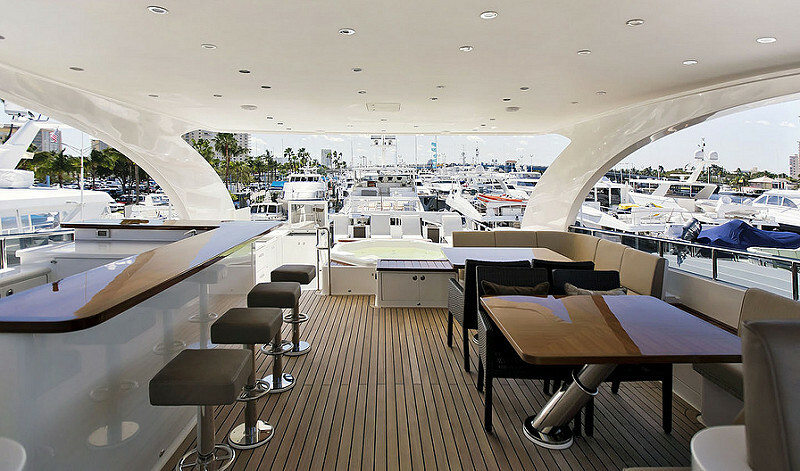 There is also space for 5 impeccable crew.